Landing number 2117; A Landing A Day blog post number 545. Dan – Here we go. I had three USer landings in a row for a new record low Score. But then what? Three OSers in a row, thanks to this landing in the granddaddy of all OSers . . . MT; 120/102; 3/10; 148.5. Note that I add the landing number to the push pin label. I mean, really, I’ve been thinking about doing this for a long time, and don’t know why it took me so long to do it! 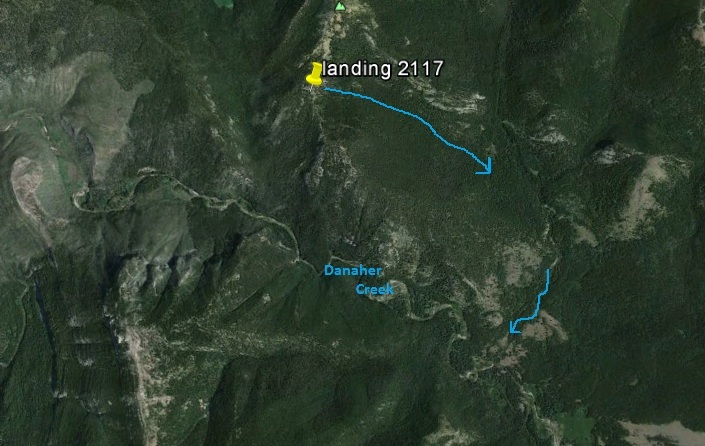 Danaher Creek discharges to the South Fork of the Flathead River (new watershed for me! 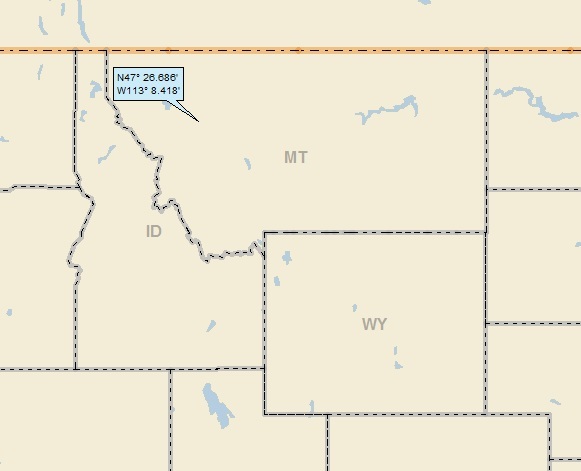 ); on to the Flathead (11th hit); on to the Clark Fork (19th hit). 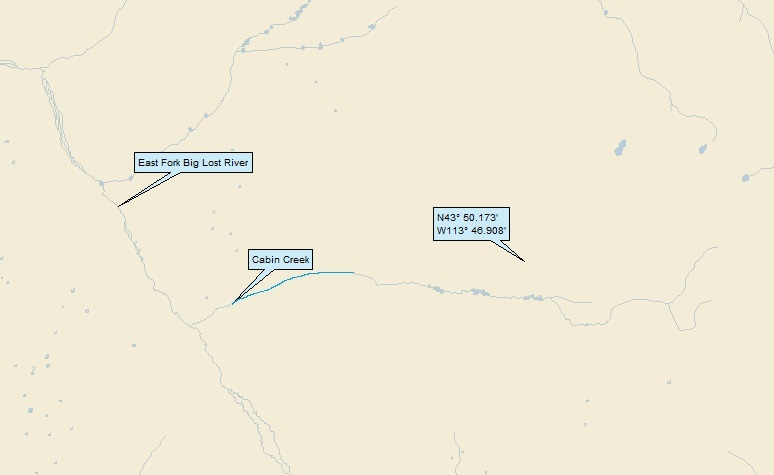 Although not on the map, trust me when I tell you that the Clark Fork discharges to the Pend Oreille (21st hit) and then on to the Columbia (150th hit). 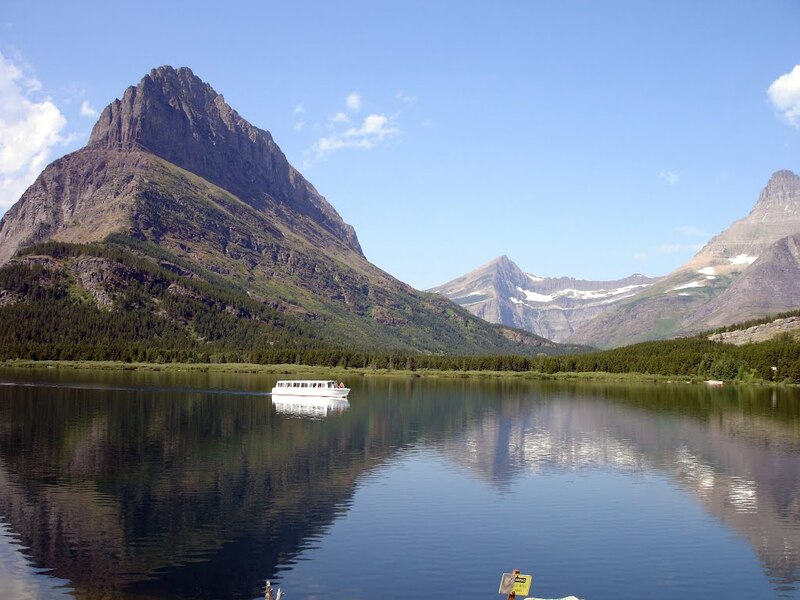 The vibrant and charming small towns of Seeley Lake and Condon lie between the Bob Marshall Wilderness and the Mission Mountain Wilderness, while the historic ranching community of Ovando is on the Lewis and Clark Trail. 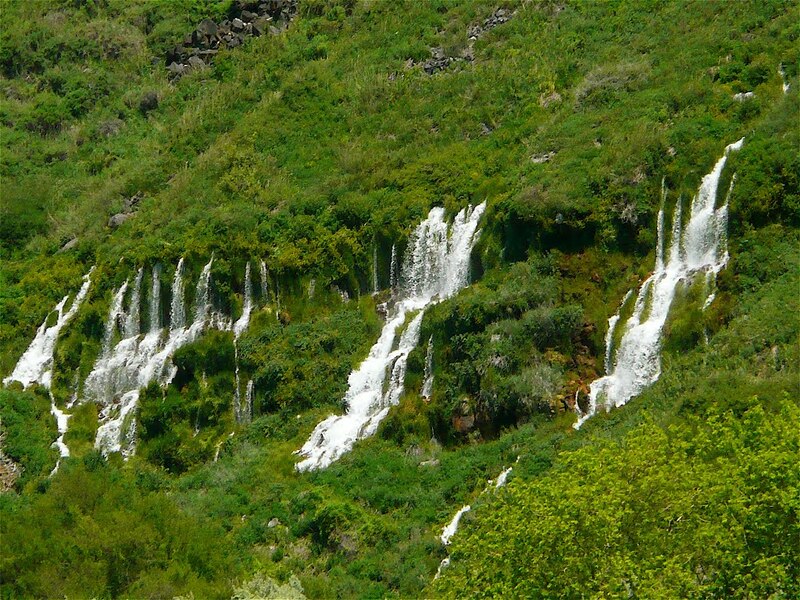 The communities of Seeley Lake, Condon and Ovando serve as gateways to these natural wonders. 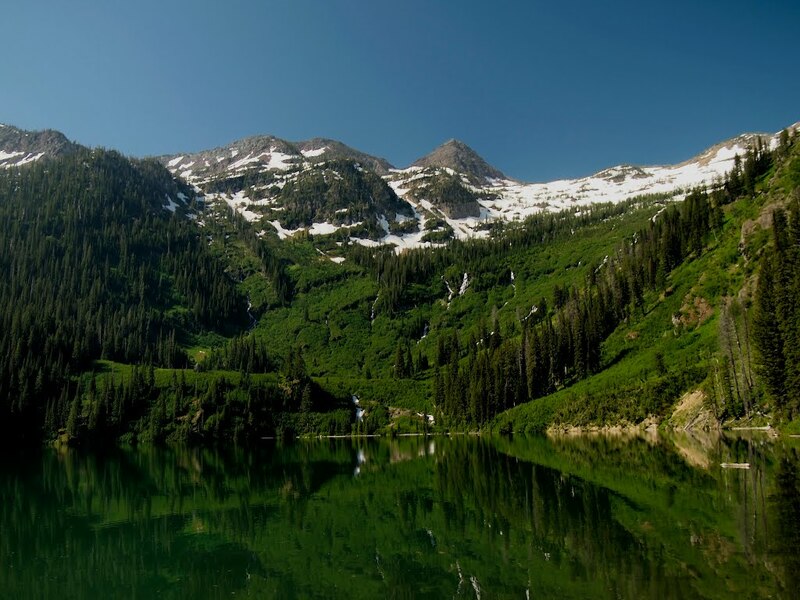 You will find more spectacular unspoiled nature here, than anywhere else in the lower 48 states providing breath taking experiences by day and relaxing hospitality by night. 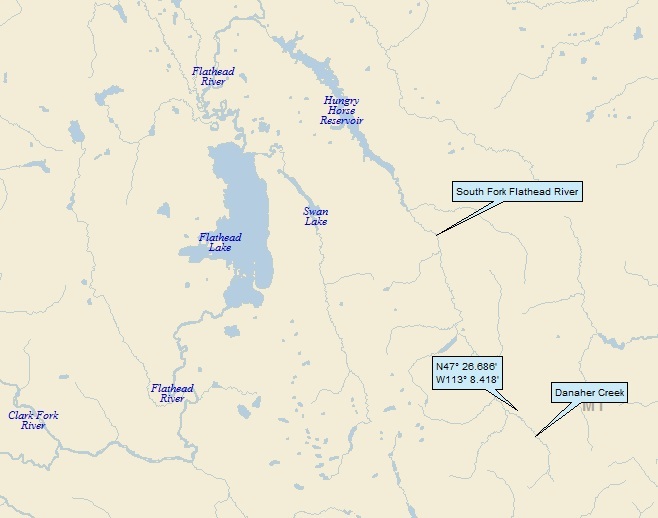 The Big Blackfoot River, location of Norman McLean’s A River Runs Through It, is a world class fishery [emphasis added by me]. The waterways, to the prairies, to the peaked vistas . 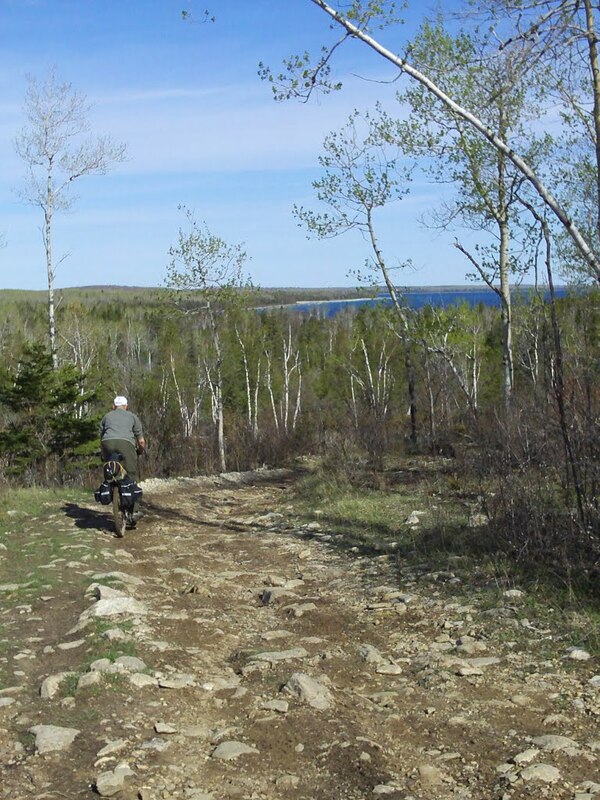 . . offer all of the scenery, wildlife and recreation that anyone can imagine. OK, so all things merge into one, and a river runs through it. I’m going to leave that alone, having not read the book. But basically, I have no problem with it. Then, the river “runs over rocks from the basement of time.” I’m a geologist. I get that. “On some of those rocks are timeless raindrops.” I’m sort of with him; after all, I’m tracing the paths of timeless raindrops on every one of my landing posts. “Under the rocks are the words, and some of the words are theirs.” I’ve got to veer right here. But remember, my geologic specialty is groundwater, so I’ve been tracking (and thinking about) groundwater throughout my professional career. Breaking it down a little, “Under the rocks are the words.” Thinking of the raindrops on top of the rocks, I think of groundwater under the rocks. The raindrops might be letters that come together under the rocks to become words (representing the wisdom of the natural world) and “some of the words are theirs,” so the words of the raindrops join the infinity of words (timeless, infinite wisdom) represented by the interconnected subsurface waters. Oh man. I’ll say this is outside my comfort zone. “I am haunted by waters.” While I probably wouldn’t use the word “haunted,” I get it in the sense that waters represent something much larger, much grander, much more timeless, than me. it seems from your comment that you really enjoyed this book, however after reading it, I am still somewhat confused as to what the whole meaning/main point of this novel was. I know it’s supposed to be an amazing book, however it’s hard for me to enjoy it when i can’t seem to make sense of any of it….especially how the last line pertains to the whole book. would love if you could clarify it. Dianne and I are soul-mates! There’s no way I’m going to read the book! My take on the book is one of a painfully open admission by Norman Maclean of his perceived weaknesses and failures during his life. The loss of his brother, the emotional distancing from his father, the physical distancing from Montana for much of his life, all weigh on his spirit, but despite that there’s a quiet nobility in his acceptance of it, all done with the Big Blackfoot as the backdrop. 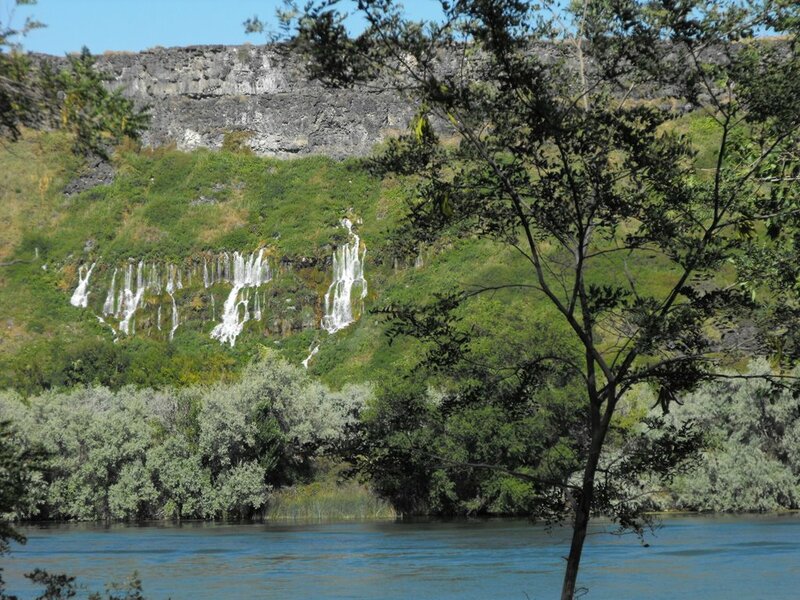 I live on the Blackfoot, not too far upriver from where his brother Paul in real life hooked that last monster trout. Norman was friends with the man who owned my property at the time, and they would often sit on the porch sipping whisky and generally being curmudgeonly. While I felt the draw to this story long before I moved here, what I’ve since learned from the older locals about Norman’s personality help to fill out my mental canvas of his persona. Do you see how I dissected the paragraph sentence by sentence? That’s a left-brained approach that probably Diane would better relate to. Notice that Jerry didn’t really explain the quote. He gave a typically-lame (in my opinion) right-brained response to Dianne. Are there any surprises that I got bachelors degrees in both Civil Engineering and Geology, and a Masters degree in Geology (and not in English Lit)? Landing number 2116; A Landing A Day blog post number 544. 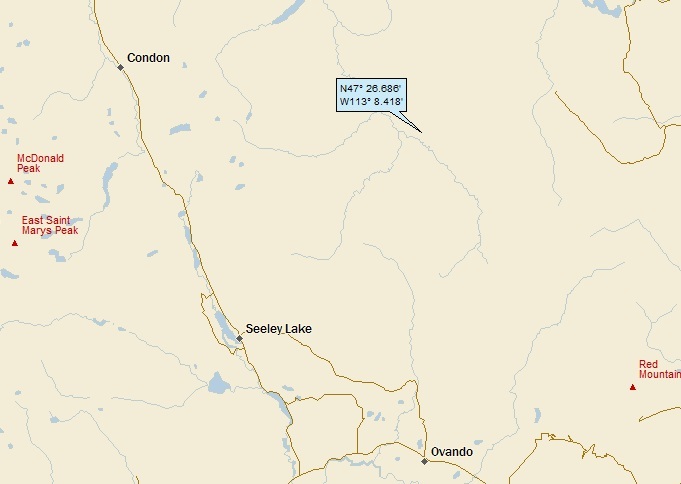 Dan – Not just two OSers in a row, but the same state twice in a row, thanks to this return landing to . . . MI; 50/40; 3/10; 148.1. Because I keep track of all things landing, I want you to know that this was my 52nd “double” landing (Michigan twice in a row), and the second double for Michigan. 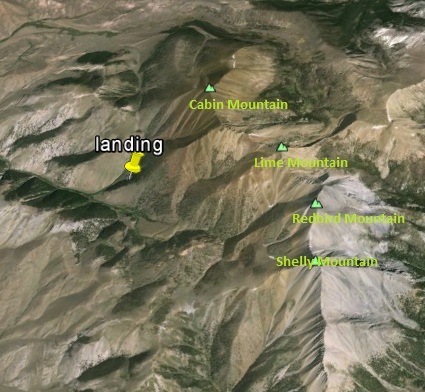 My last double was CA, about a year ago, with my Mount Shasta and Clear Lake landings. My only other Michigan double was in September 2008, before I began my blog. 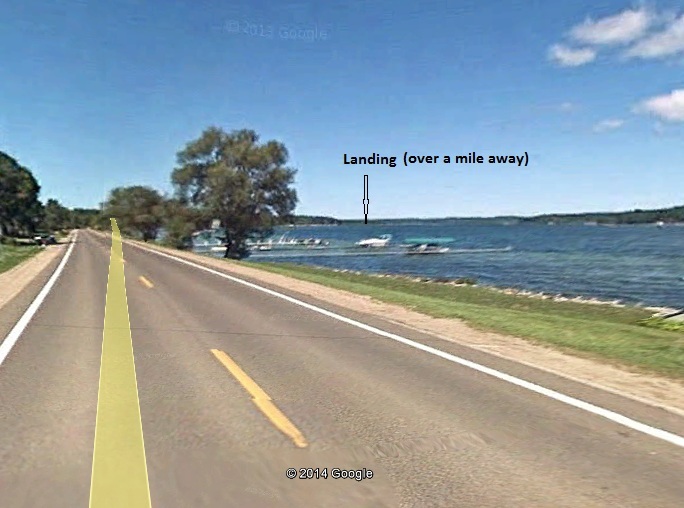 My more local map shows that I actually landing in Lake Charlevoix! I included the Jordan River and the Boyne River just for the heck of it, since they’re not part of “my” watershed. 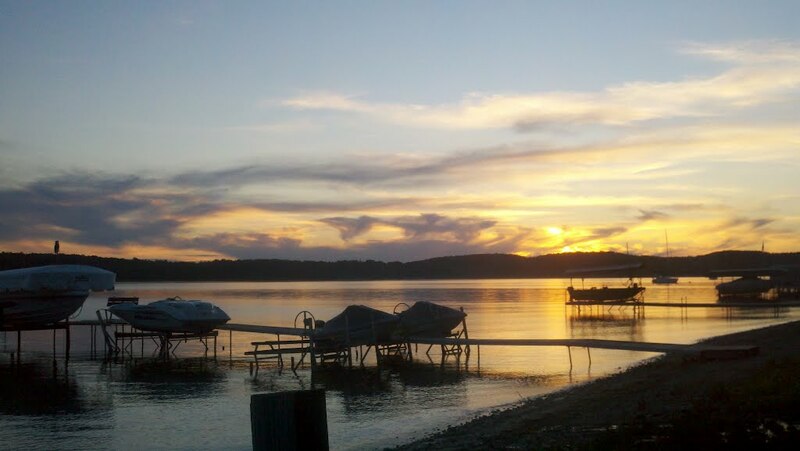 A drop of water that falls on my landing is obviously in Lake Charlevoix, then on to Pine River (first hit! 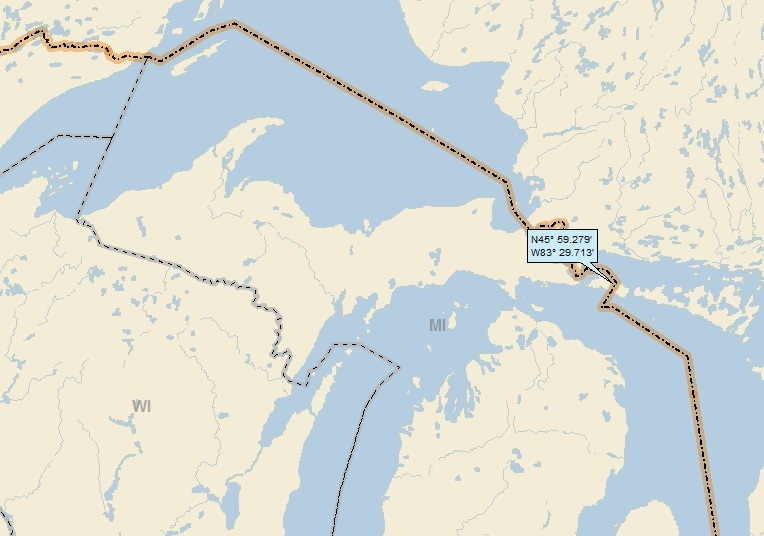 ); to Lake Michigan (33rd hit); to the St. Lawrence River (95th hit). 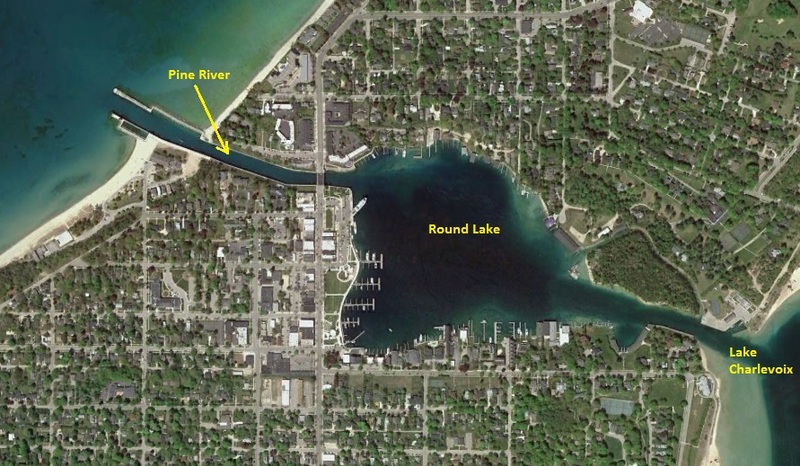 The Pine River connects Lake Charlevoix to Lake Michigan. 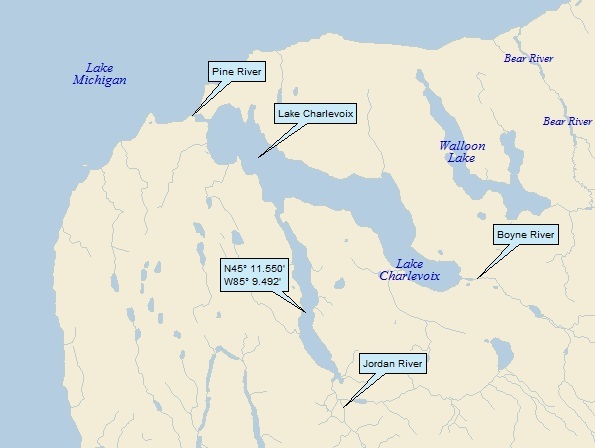 If one considers Round Lake to be a separate body of water from the Pine River (which appears to be the case according to the U.S. Board on Geographic Names) then this “river” stretches no more than about 1,500 feet (457 metres). I sailed along this diminutive river while taking the ferry to Beaver Island. 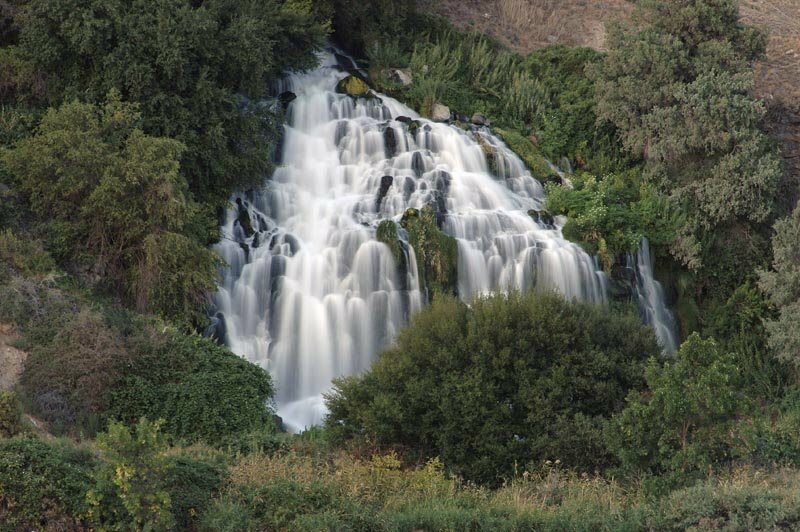 The post goes on to discuss other contenders to the title of “World’s Shortest River.” It’s a fascinating read (really! ), and I highly recommend it. Click HERE. By the way, “Twelve Mile Circle” refers to the arcuate border between Delaware and Pennsylvania which is a segment of a circle with a 12-mile radius centered on the spire of the New Castle, Delaware courthouse. And, (by the way)2, I have never landed in Delaware! 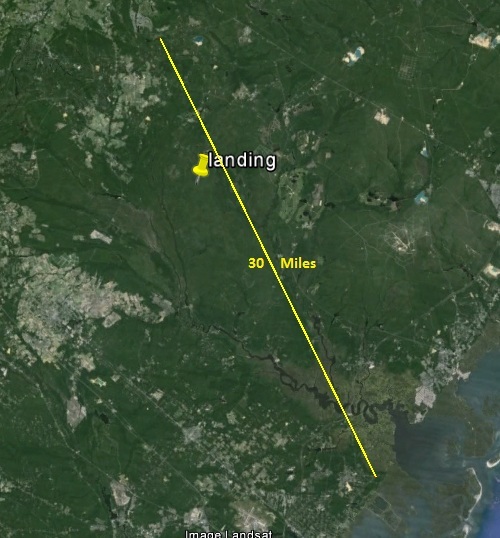 After 2116 landings, one might think I would have landed in Delaware at least once. I mean, really, I’ve landed in Rhode Island twice! Quite the busy little channel! 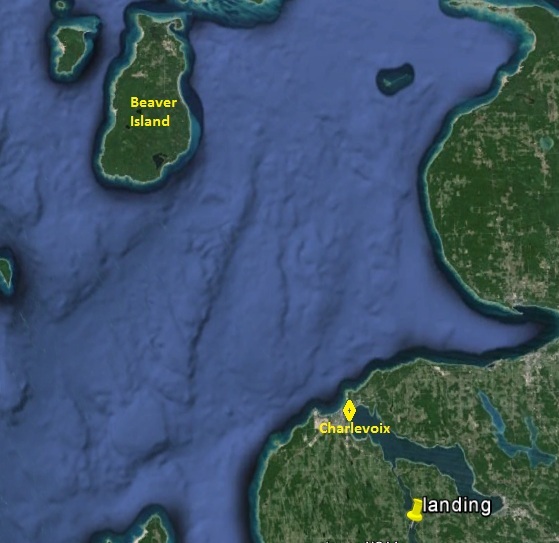 Soon after its formation in the 1850s, Charlevoix entered into a short lived conflict with James Strang, leader and namesake of the Strangite Mormons, and then king of Beaver Island. 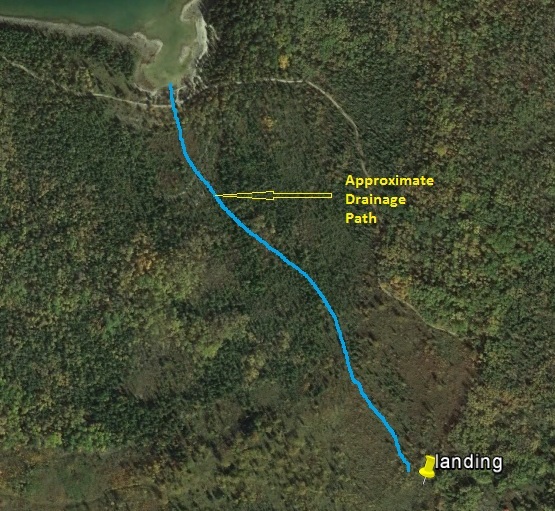 Relations between Charlevoix residents and the Strangites were often tense. 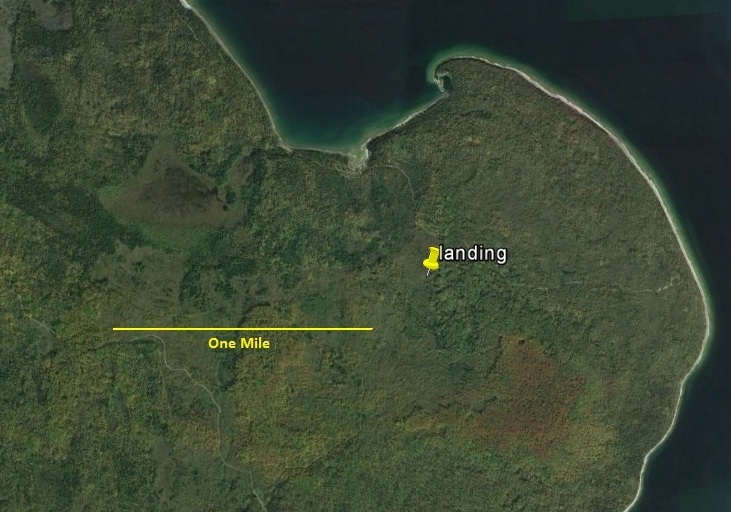 In 1853, a gunfight broke out between the two groups as the townspeople refused to hand over a man who was called for jury duty on the island, an event known locally as The Battle of Pine River. When Strang was assassinated on June 20, 1856, many believed residents from Charlevoix to be responsible. As regular ALAD readers know, I have stumbled on (and featured) the Mormons on numerous posts. Phew! I just checked, and I’ve used the word “Mormon” at least once in 29 posts (13 of which were in Utah)! But this doesn’t look like the typical Mormon story! Here we go . . .
James Strang, who would create America’s only kingdom on Beaver Island, was born in New York in 1813. He expected great things of himself. He established a law practice at the age of 23, but it failed to satisfy his ambition. When he met Joseph Smith in 1844, he converted to his new evangelical religion as a way of improving his position. Strang’s debating skills impressed the Mormon leader, who assigned him to found a branch in Burlington, Wisconsin. While Strang was away, Smith was killed. Shortly thereafter Strang produced a letter (written by Smith) naming him as Smith’s chosen heir. He was challenged by Brigham Young, who was more solidly entrenched. 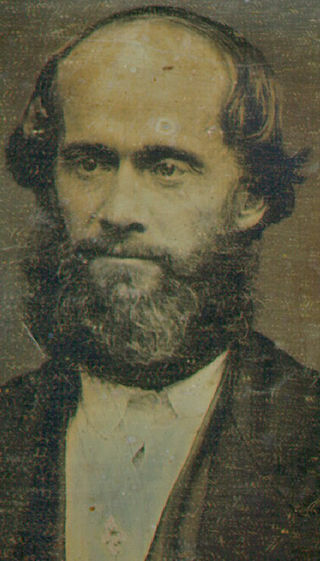 Strang led those who accepted him to Nauvoo, Illinois, and then Voree, Wisconsin, before deciding that God wanted him to bring his flock to Beaver Island. Producing mysterious brass plates from the ground, and receiving directives from God, Strang formed a colony on Beaver Island in 1848. It grew year by year, and soon had the numbers to elect Strang to the state legislature. 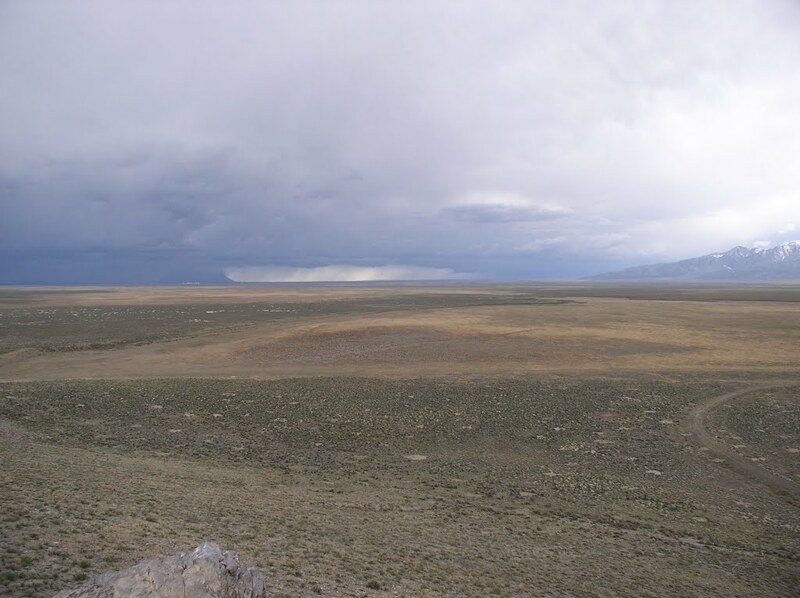 Trouble with the “gentiles” led to the “War of Whiskey Point”, which the Mormons won by firing a canon at the unruly gang gathered at the trading post. By the early 1850s, most of the non-Mormons had left the Island. The ensuing degree of absolute power went to Strang’s head, and rumors spread about Mormon attrocities. Strang had himself crowned king, and began taking additional wives. Attempts to oust him by legal means failed, and in 1856 he was assassinated by two disgruntled followers [or two angry Charveloixians, as speculated in the Wiki entry I quoted earlier]. His people [Wiki says there were 2,600] were driven off the Island by an unruly mob from Mackinac Island, which was instigated by speculators eager to grab the land. [My research says that the hapless Strangites were unceremoniously herded onto commandeered steamships and dumped onto docks in Milwaukee and Chicago.] 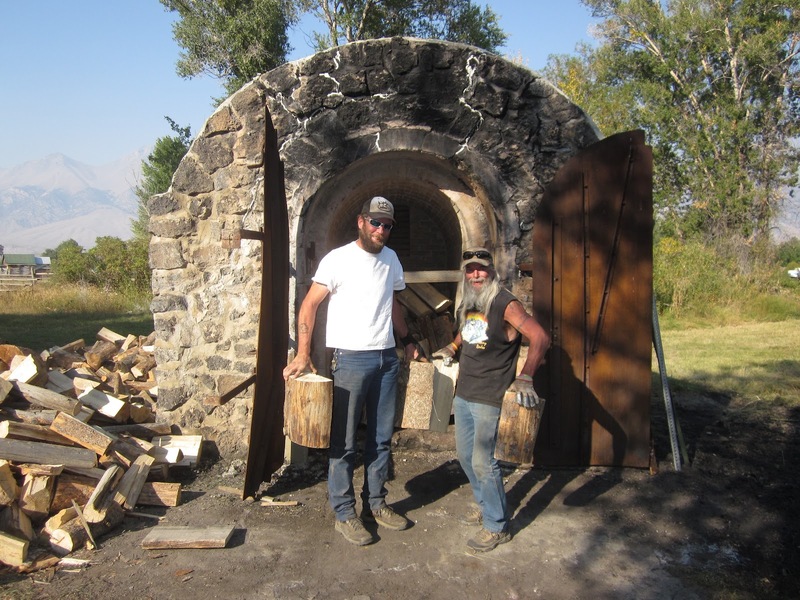 During their 8-year occupancy, the Mormons cleared and cultivated the ground, built roads and houses, and changed the Island from a wilderness to a moderate outpost of civilization. But fate conspired to keep them from reaping the benefits of their toil. By the way, there are still some Strangites around Voree, Wisconsin (300 or so at last count). 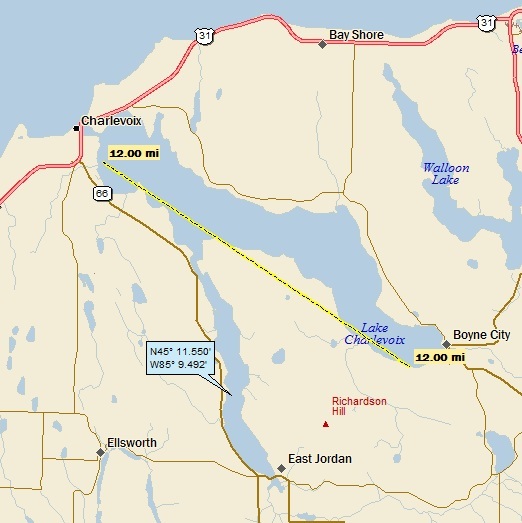 And also, the northern end of Beaver Island is today St. James Township. That would be St. James Strang Township . 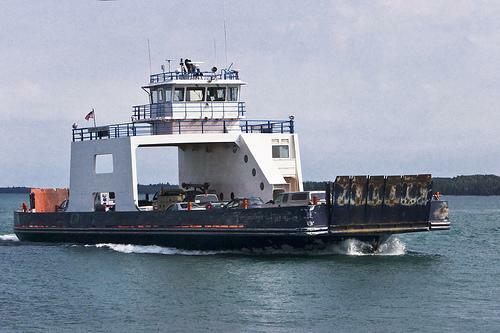 . .
Before leaving Beaver Island, check out this YouTube video posted by BTidmore. I found it mesmerizing . . . and check out the boat and barge across the way . . . 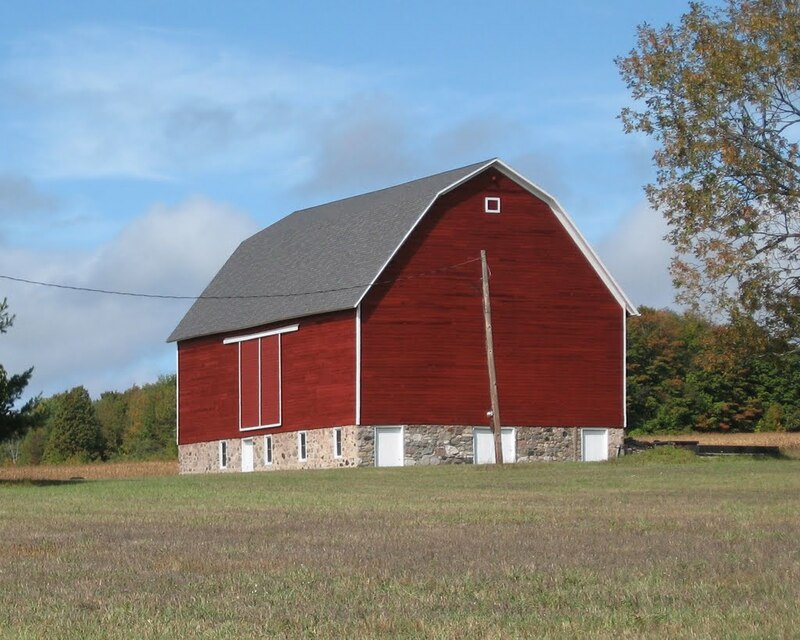 I can’t help but make this comment: I’m relieved that someone with a handle as menacing as Chaos901 seems content to take pictures of barns . . . Landing number 2115; A Landing A Day blog post number 543. 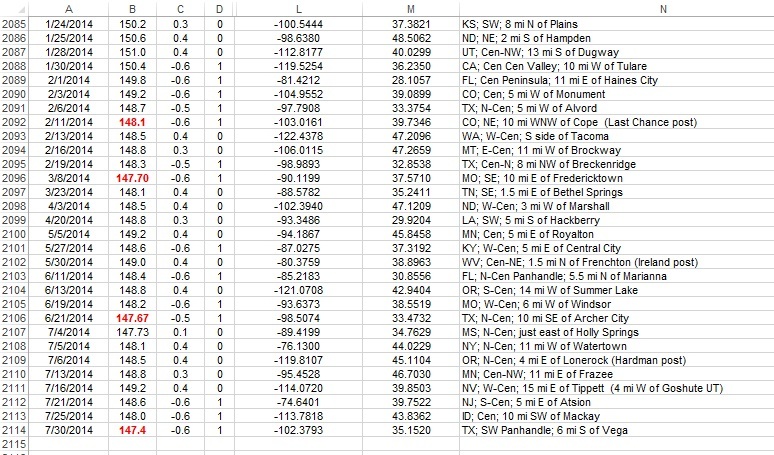 Dan – The LG (Landing God) wasn’t comfortable with two record low Scores in a row, so He sent along this OSer . . . MI; 49/40; 4/10; 147.8. Just made it. Oh, what the heck, how about a closer look? You can see that the international boundary takes some interesting jigs and jags, but that Drummond Island is on the U.S. side (barely). It turns out there’s a GE Panoramio shot (by Jeeper2002) that almost shows the little bay. 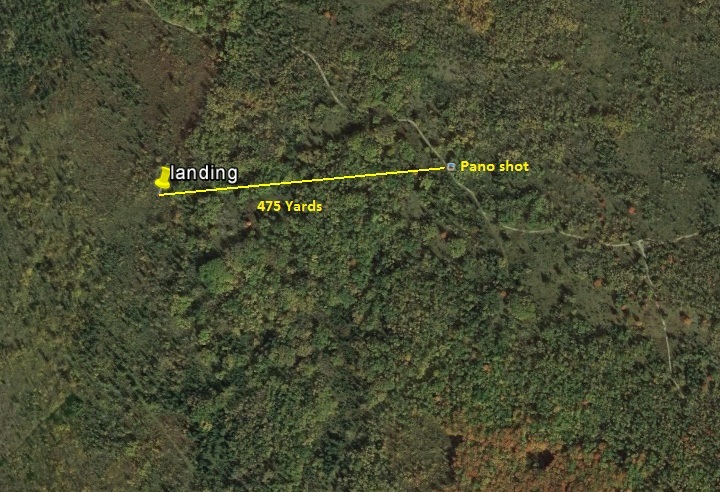 Here’s a screen shot of Jeeper’s picture that shows just where he took it from . . .
See the international boundary line out in the water between Drummond & Cockburn? Me neither . . . 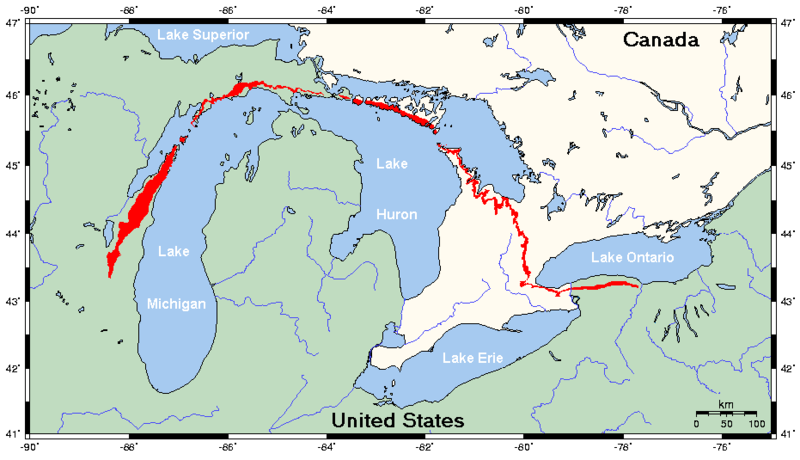 The Niagara Escarpment is a topographical feature that stretches from New York to Wisconsin. 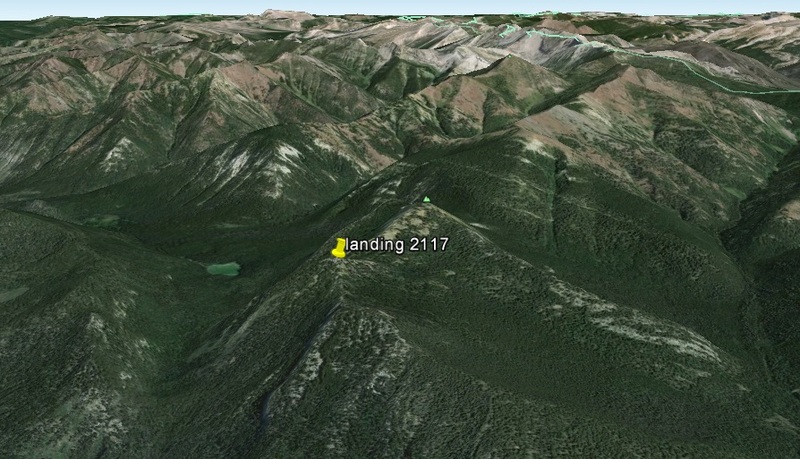 It is typically marked by a cliff that separates an extensive upland area from an extensive lowland area. There is no displacement of the rock layers at the escarpment: this is not a fault line but the result of unequal erosion. 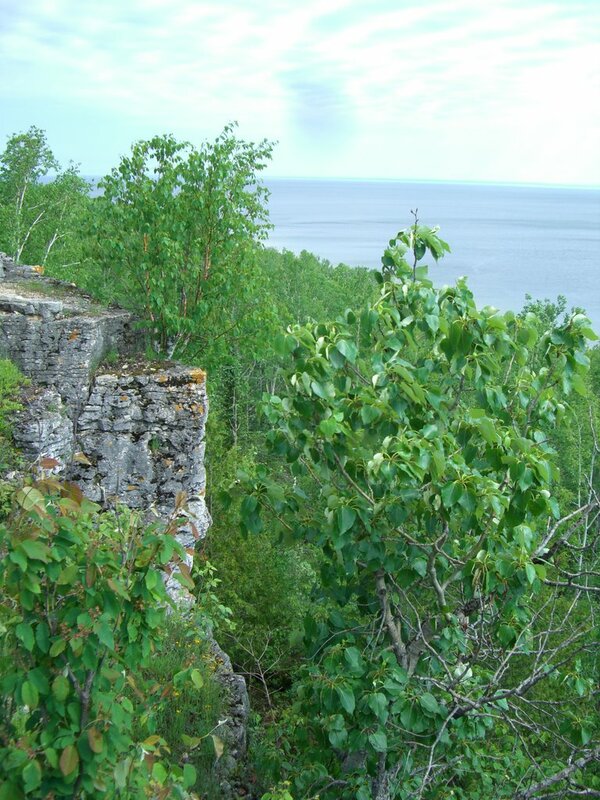 The escarpment’s high side is dolomite, which is more resistant than the low side of the escarpment, which is underlain by more easily eroded shale. The escarpment thus formed over millions of years through the process of erosion of rocks of different hardnesses. Through time the soft rocks weather away or erode by the action of streams. The gradual removal of the soft rocks undercuts the resistant caprock, leaving a cliff or escarpment. The erosional process is most readily seen at Niagara Falls, where the river has quickened the process, carving a lengthy notch in the escarpment. Dolomite’s chief use is in the steel industry, where it is used in blast furnaces as a flux, and in open hearth furnaces and foundries as a refractory material. It also is an important source of the metal, magnesium. Its toughness and hardness, as well as its structural soundness, make it an ideal aggregate for construction, including asphalt and concrete pavements. In 1987, because of economic downturns and competition from foreign steel makers, Bethlehem Steel decided to sell its quarries and mines. In the spring of 1988 Drummond Dolomite was taken over by Osborne Materials Company of Grand River, Ohio. Osborne is now producing 1.3 million tons per year with approximately 30 people. Dolomite is prepared for market by crushing, washing, and screening at the processing plant that is seen from the Ferry as you approach the Drummond shore. 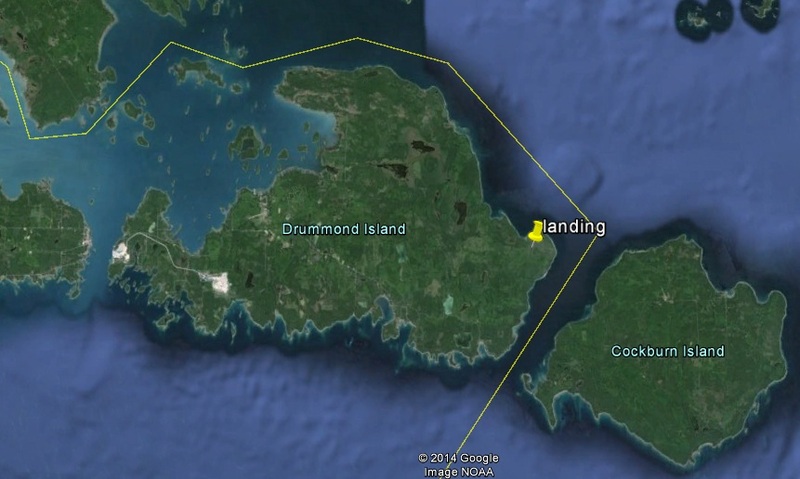 So, Drummond Island has about 1000 permanent residents. Phew. Strange place to live. There’s no real town there, so I imagine that there’s a lot of use of the ferry by people who keep a car on the mainland (as well as one on the island), and who hop on the ferry to go to Home Depot or the supermarket to buy a couple of weeks’ worth of groceries. A funny aside. 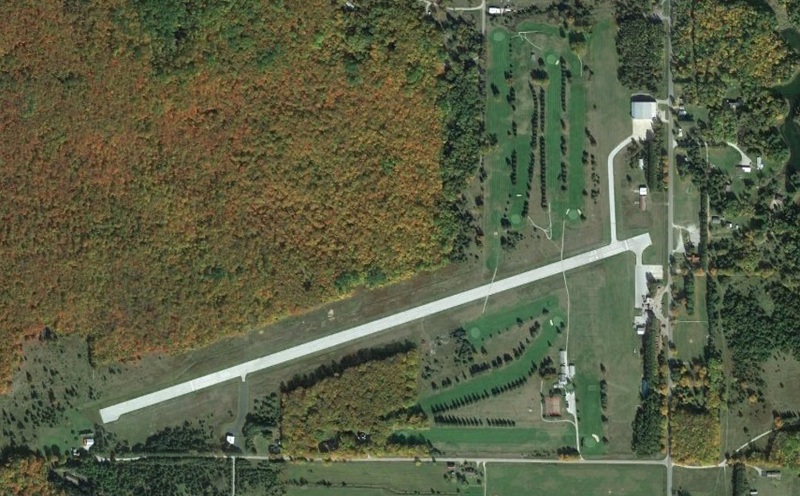 Check out this 9-hole golf course. While playing, you actually have to cross the runway of the only airport on the island! 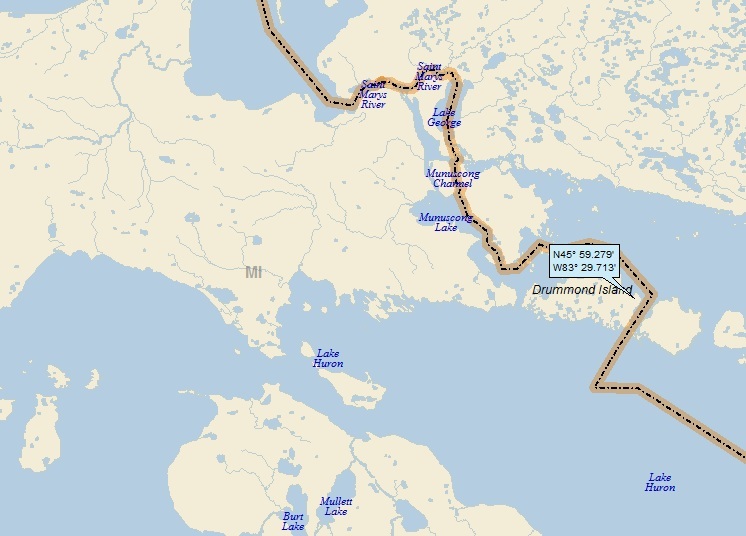 As mentioned early, Cockburn Island Canada is just east of Drummond. 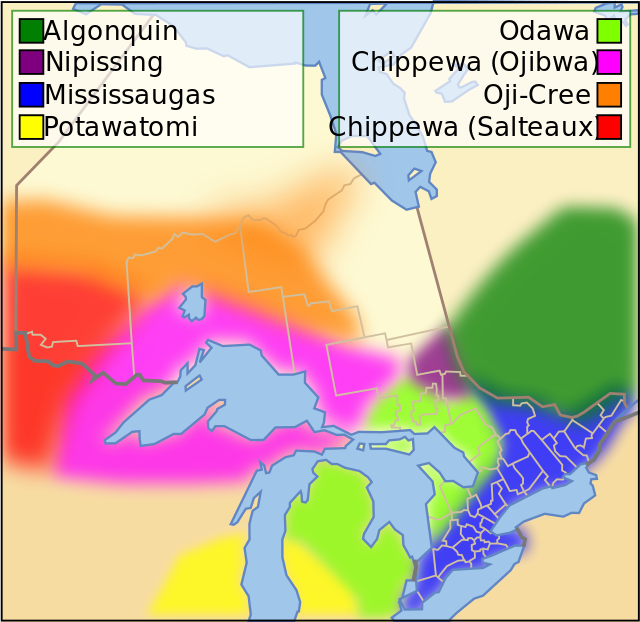 East of Cockburn is Manitoulin Island. 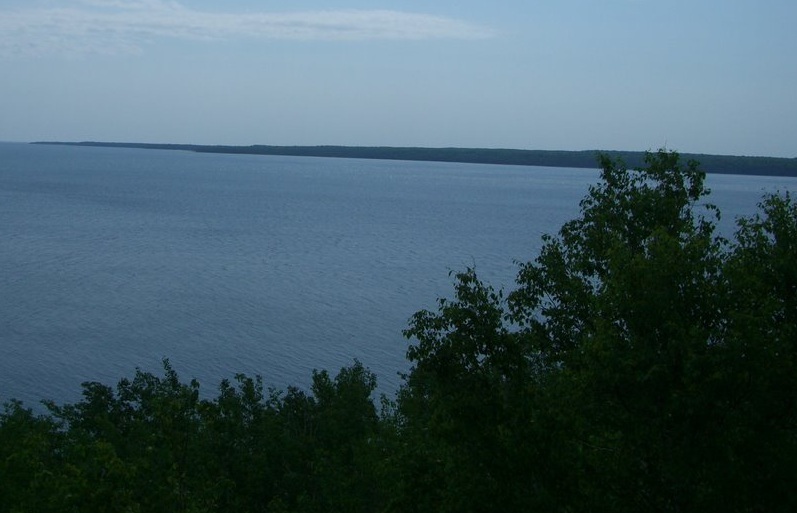 Canada’s aptly named Great Lakes are so large, in fact, that one of them, Huron, is home to the world’s largest freshwater island – Manitoulin. 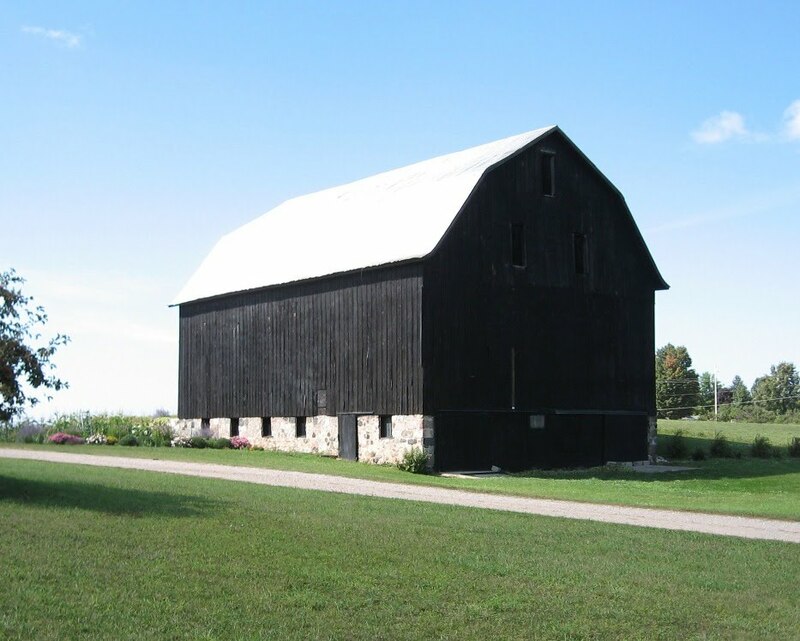 This bucolic collection of farms, villages and First Nations settlements draws cyclists and hikers to its quiet country roads and trails. And in an amusing twist, Manitoulin itself has 108 freshwater lakes, some of which have their own islands, which in turn contain ponds. 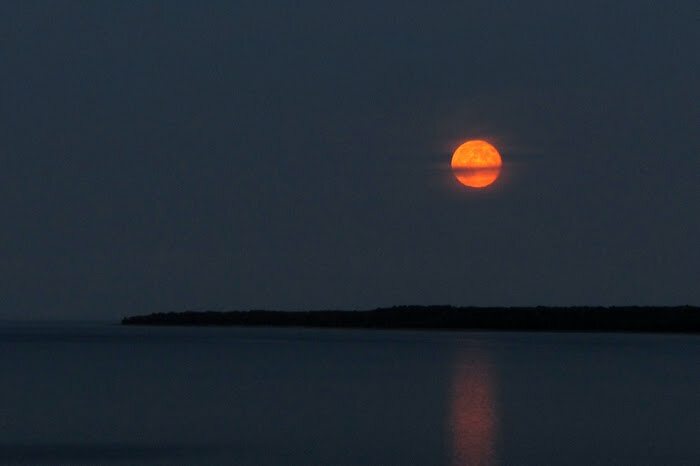 Lake Manitou, for instance, is the largest lake on a freshwater island in the world, and Treasure Island in Lake Mindemoya is the largest island in a lake on an island in a lake in the world. Wow. Very cool! 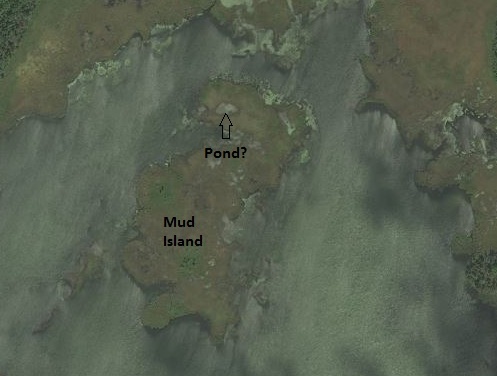 If we call the little ponds “lakes,” we’d have a lake on an island in a lake on an island in a lake! An Odawa expression would probably be more appropriate. Oh, well . . ..
She/he rices, goes ricing, makes rice, picks rice, harvests wild rice. Landing number 2114; A Landing A Day blog post number 542. My record low Scores are marked in red and bold . . 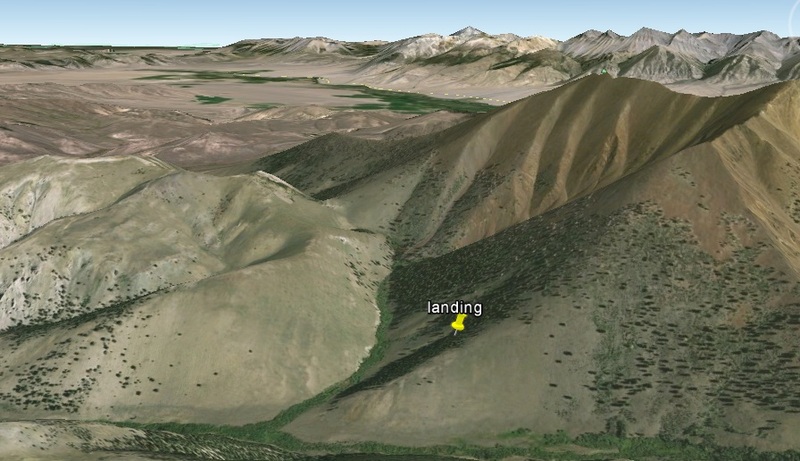 Using the GE elevation tool, I could see that the land basically sloped to the east-southeast. 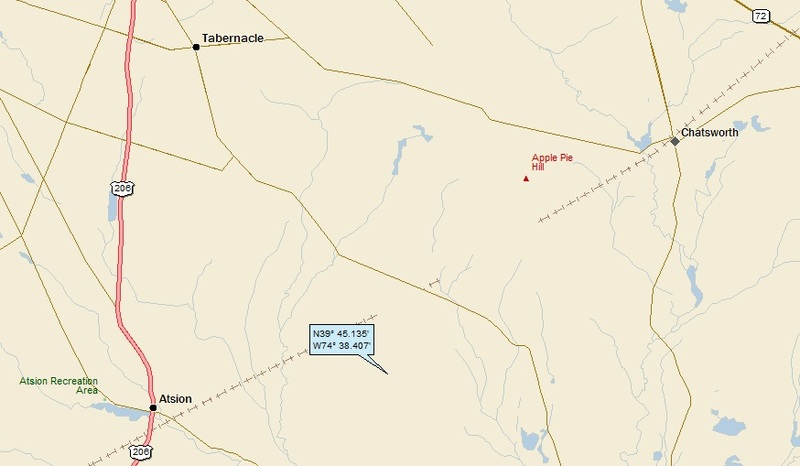 After my hypothetical drop of rain made it around all of the little depressions shown in blue on my local landing map (including the one I landed in), it would make it to the Prairie Dog Town Fork of the Red River (4th hit); on to the Red River of the South (56th hit); on to the Atchafalaya (63rd hit). 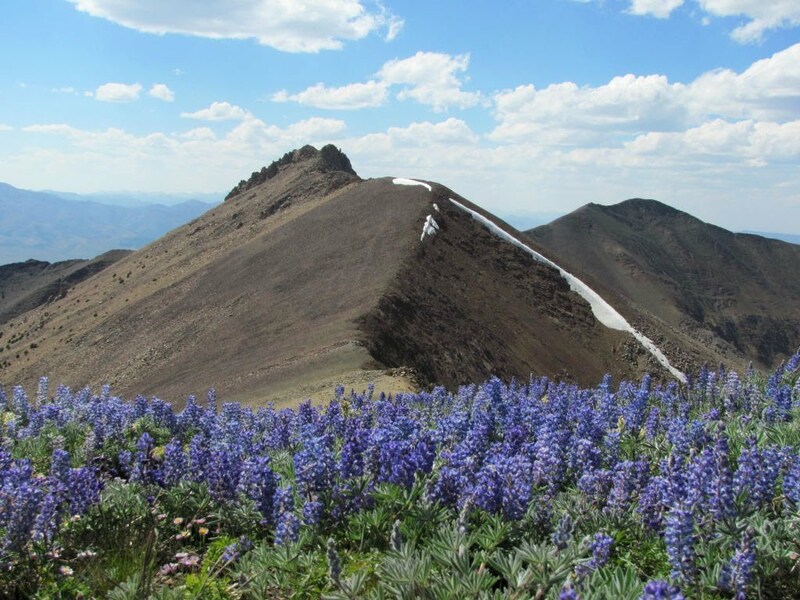 The name Vega, which is Spanish for “meadow,” was chosen because it reflected the vast prairie and surrounding countryside of the area. 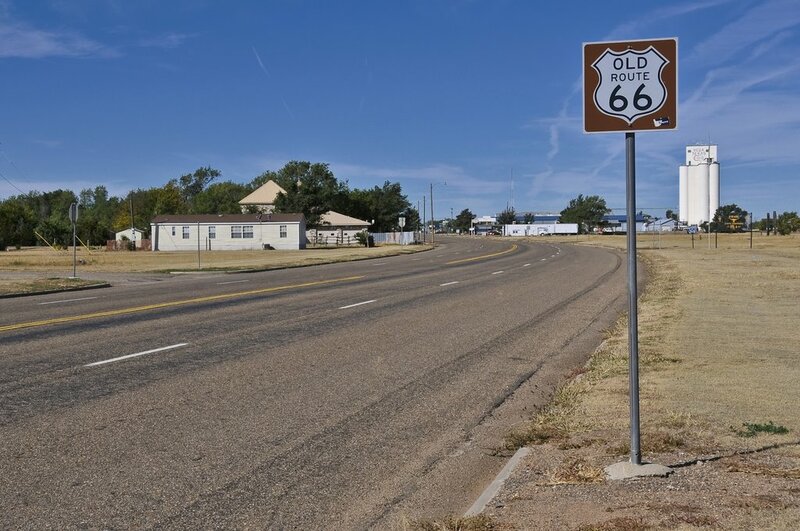 Route 66 conjures images of the Joad family on their journey from the Depression-era Oklahoma Dustbowl to California. They would have passed right through here. (More about the Joad’s trip later). Named for nearby Wildorado Creek, the community was founded in 1900 as a railway town along the Chicago, Rock Island and Gulf Railroad. “Named for nearby Wildorado Creek” doesn’t do much for me. “Wildorado” is such a cool name. Where did it come from? After an inordinate amount of time searching, I gave up. Obviously, the name origin is shrouded in mystery. That’s crazy! Google, in its near-infinite wisdom, figured that I’d be satisfied with the name origin of Vega!! Are you kidding me?? I had to put Wildorado in quotes to make Google understand that I really cared about Wildorado, and not Vega. Of course, as discussed above, I could find nothing. I mentioned Wildorado to my wife Jody. She did a quick search on her phone, and let me know that “dorado” means “golden” in Spanish. So maybe a bilingual Texas pioneer was checking out the area and he gazed upon a wild, beautiful scene of the creek bathed in golden sunset light. It was certainly wild and it was certainly golden . . . The highway through Wildorado has metamorphosed from the Ozark Trail to Will Rogers Highway to Route 66, and now Interstate 40. 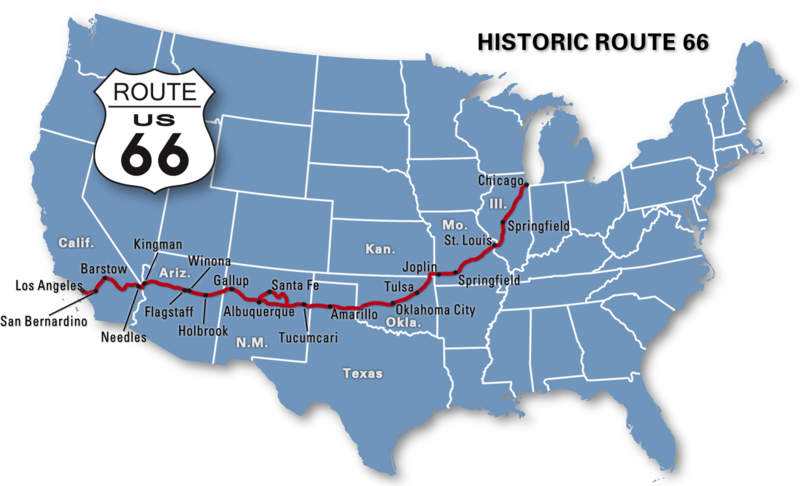 Traffic increased on Route 66 and by the early 1960’s a new super highway was needed. 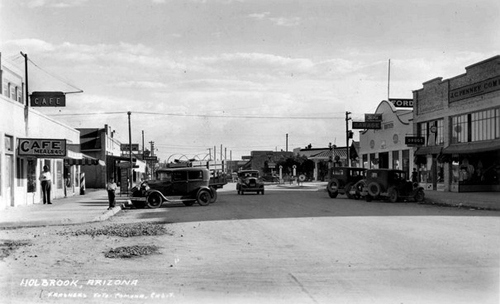 The new interstate required a 300 foot right-of-way through Wildorado’s Main Street making it necessary for businesses on the south side of Rt. 66 to be destroyed. 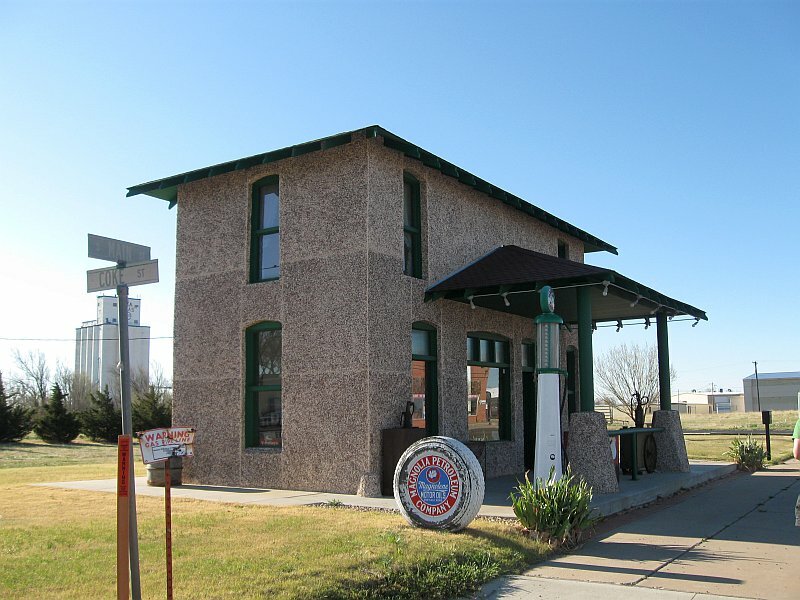 These businesses included: Wildorado Bank, Rodeo Café, Pop Well’s Station & Café, Dee McDade’s Texaco, Davis Mercantile/Post Office, A.F. Moore’s 66 Dealership, and Tapscott Mobil Station. Now wait a second. We’re out in the middle of gosh-by-golly nowhere, with miles of nothing north and south of Wildorado. The powers-that-be couldn’t manage to push the Interstate just a little north or little south of town and save all of those businesses? This song features great music & great lyrics. Go to FrankSugrue.com to check out Frank’s music . . . So, I mentioned the Joad family earlier. 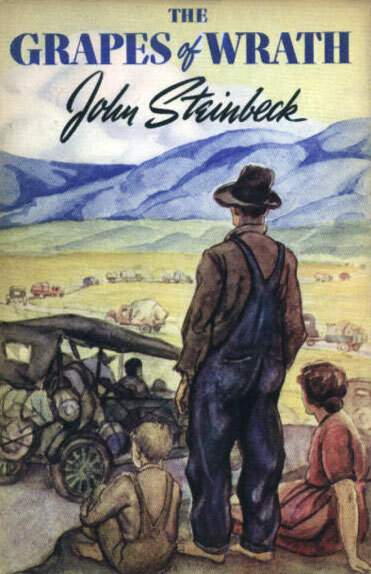 I’m sure that most of my readers know who I’m speaking of, but just in case: The Joad family are are the central characters in John Steinbeck’s The Grapes of Wrath, an incredibly powerful book that I read back in college and haven’t reread since. You know what? I’m going to have to do that. Highway 66 is the main migrant road. 66–the long concrete path across the country, waving gently, up and down on the map, from the Mississippi to Bakersfield–over the red lands and the gray lands, twisting up into the mountains, crossing the Divide and down into the bright and terrible desert, and across the desert to the mountains again, and into the rich California valleys. 66 is the path of a people in flight, refugees from dust and shrinking land, from the thunder of tractors and shrinking ownership, from the desert’s slow northward invasion, from the twisting winds that howl up out of Texas, from floods that bring no richness to the land and steal what little richness is there. From all of these the people are in flight, and they come into 66 from the tributary side roads, from the wagon tracks and the rutted country roads. 66 is the mother road, the road of flight. Clarksville and Ozark and Van Buren and Fort Smith on 64, and there’s an end of Arkansas. And all the roads into Oklahoma City, 66 down from Tulsa, 270 up from McAlester. 81 from Wichita Falls south, from Enid north. Edmond, McLoud, Purcell. 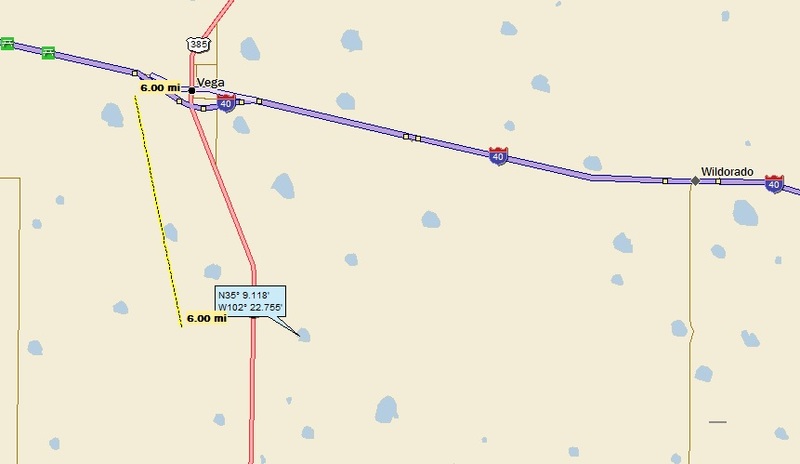 66 out of Oklahoma City; El Reno and Clinton, going west on 66. 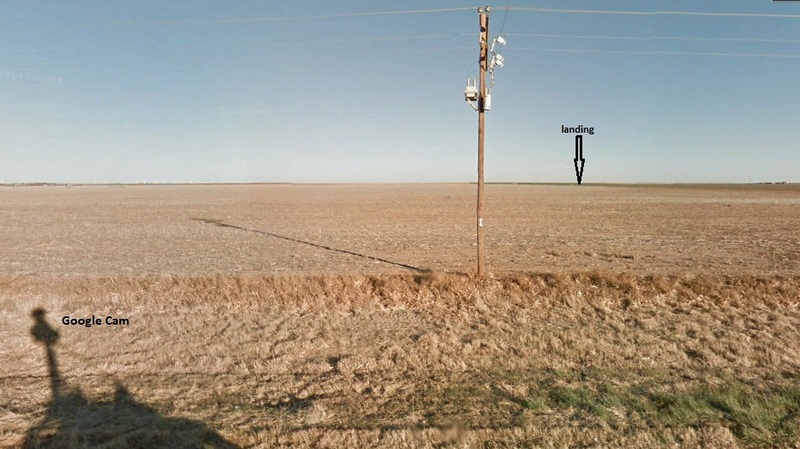 Hydro, Elk City, and Texola; and there’s an end to Oklahoma. 66 across the Panhandle of Texas. Shamrock and McLean, Conway and Amarillo, the yellow. Wildorado and Vega and Boise, and there’s an end of Texas. Tucumcari and Santa Rosa and into the New Mexican mountains to Albuquerque, where the road comes down from Santa Fe. 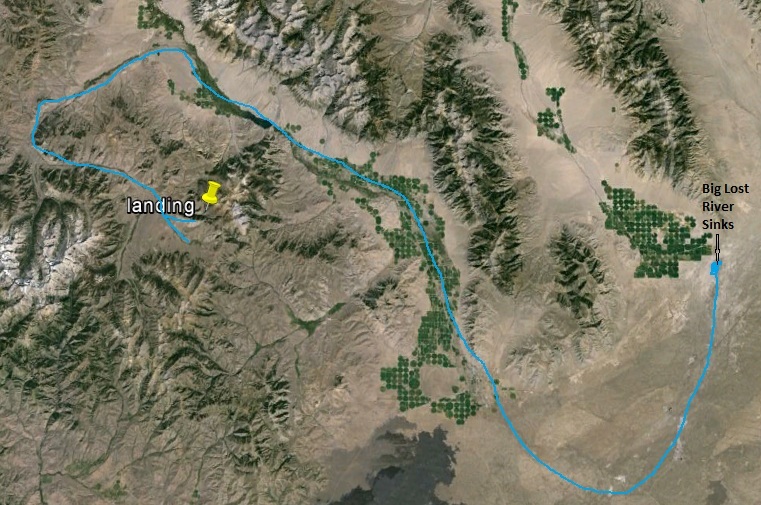 Then down the gorged Rio Grande to Los Lunas and west again on 66 to Gallup, and there’s the border of New Mexico. And now the high mountains. Holbrook and Winslow and Flagstaff in the high mountains of Arizona. Then the great plateau rolling like a ground swell. Ashfork and Kingman, and stone mountains again, where water must be hauled and sold. Then out of the broken sun-rotted mountains of Arizona to the Colorado, with green reeds on its banks, and that’s the end of Arizona. There’s California just over the river, and a pretty town to start it. Needles, on the river. But the river is a stranger in this place. Up from Needles and over a burned range, and there’s the desert. And 66 goes on over the terrible desert, where the distance shimmers and the black center mountains hang unbearably in the distance. At last there’s Barstow, and more desert until at last the mountains rise up again, the good mountains, and 66 winds through them. Then suddenly a pass, and below the beautiful valley, below orchards and vineyards and little houses, and in the distance a city. And, oh, my God, it’s over. 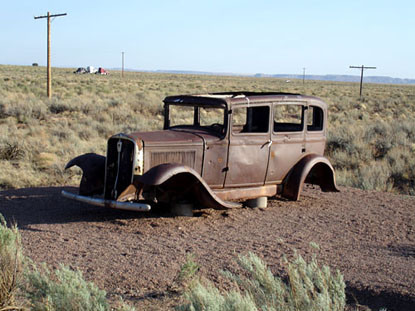 I’ll close with this shot, just off Rt 66 outside of Holbrook, of a car that just couldn’t go any further west . . . Landing number 2113; A Landing A Day blog post number 541. Dan – After five OSers in a row, it’s nice to have two USers in a row, thanks to this landing in . . . ID; 49/58; 4/10; 148.0. Good ol’ Idaho has been a USer forever. In fact, it was my number one USer more or less from early on in my landing enterprise (beginning in the spring of 1999) all the way through landing 697 (on 6/21/2005). 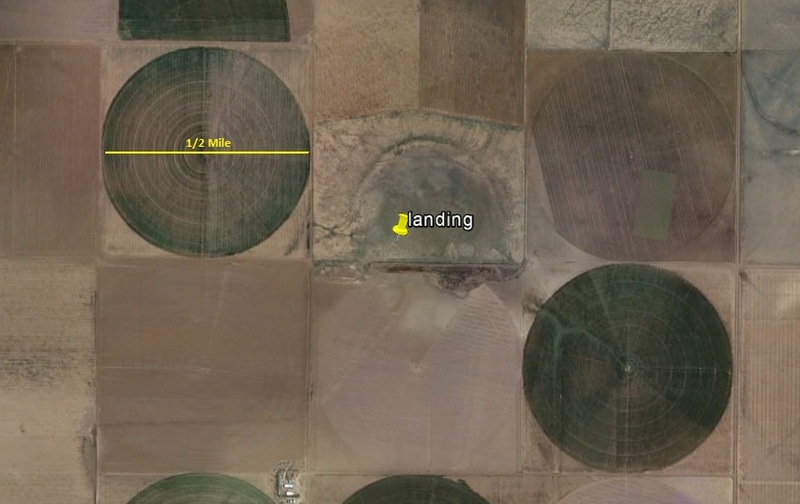 It was on that date when I landed in Idaho (3 miles east of Lorenzo). Anyway, that landing allowed Texas to overtake Idaho as my number one USer, a position that Texas has held ever since. Just in case a casual reader has ventured this far: whenever I landed on a USer, the state ends up with a smaller number. When I land on a OSer, the state ends up with a larger number. I add these scale factors together to get my Score; that’s why my Score goes down when I land on a USer and goes up when I land on an OSer. 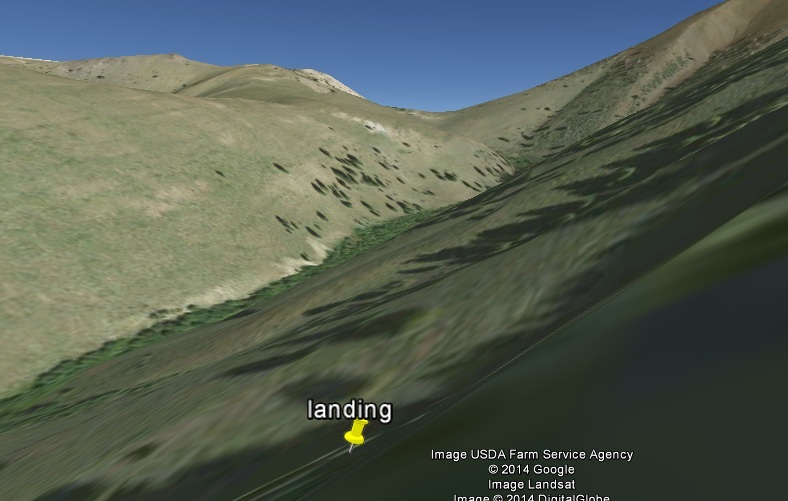 Enough landing minutiae . 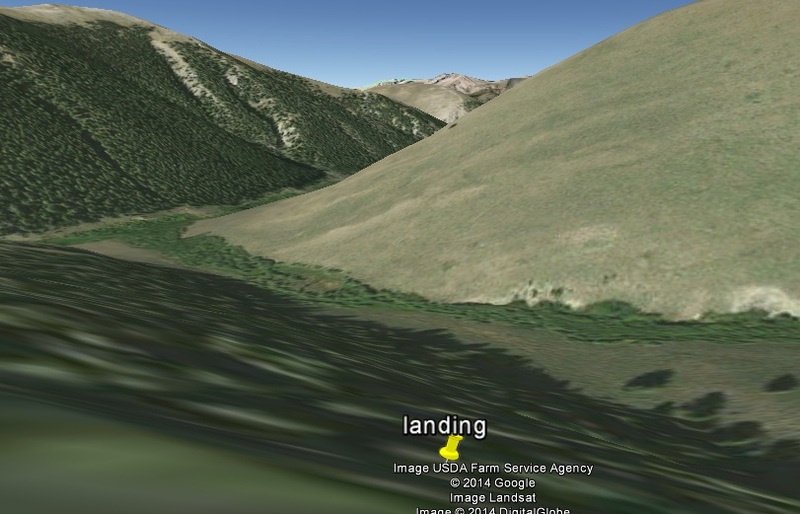 . .
Google Earth never ceases to amaze me . . . 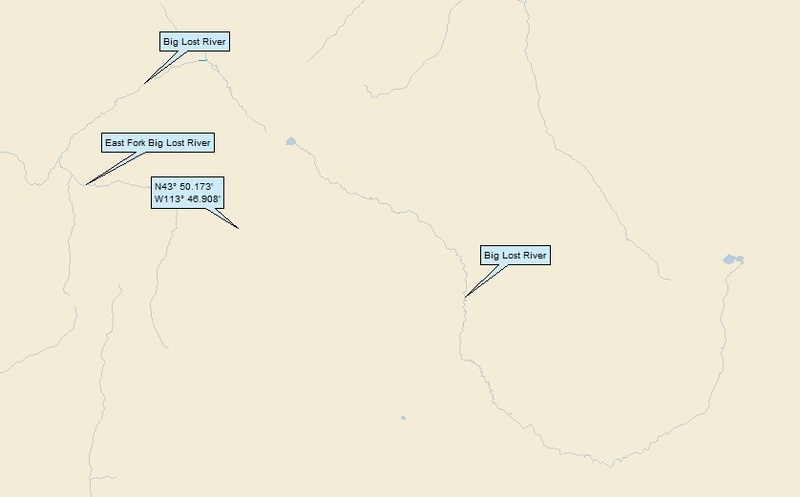 The East Fk of the Big Lost River discharges into the Big Lost River (also 1st hit!). 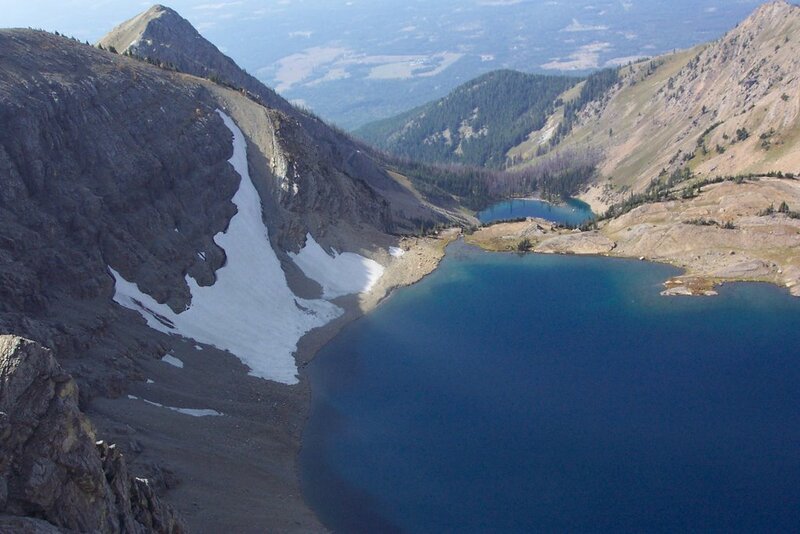 See where the Big Lost heads north and then seems to dead end in a little lake? 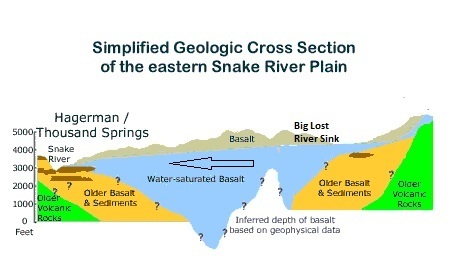 Well, that’s exactly what it does (except it’s not a little lake, it’s the “Big Lost River Sinks”). 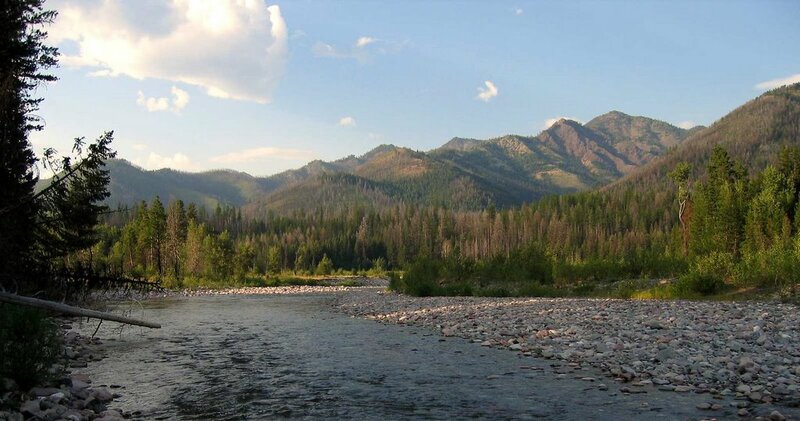 The Big Lost River is a major Idaho river, about 135 miles long. 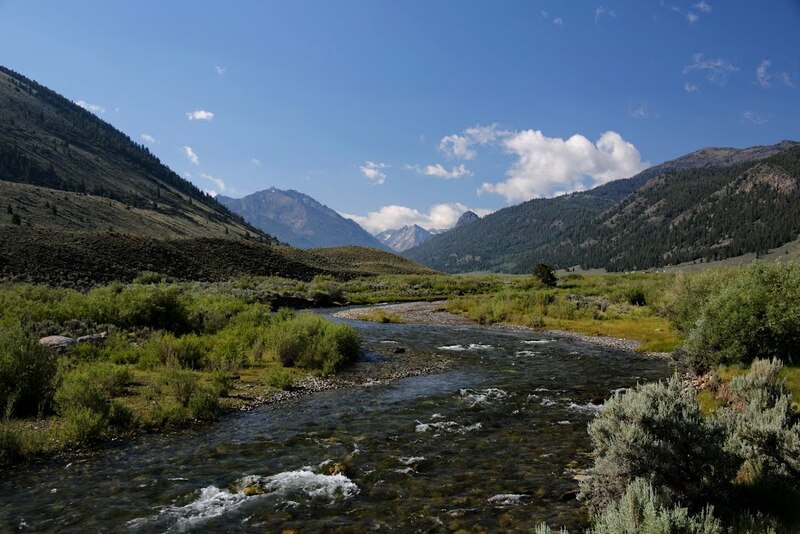 It rises at the confluence of the North Fork and East Fork Big Lost River deep in the Pioneer Mountains. It flows northeast then turns sharply southeast. The river is dammed to form Mackay Reservoir near the town of Mackay, then continues south through an agricultural valley, passing Arco. After Arco the river begins flowing east, then northeast, and finally due north. 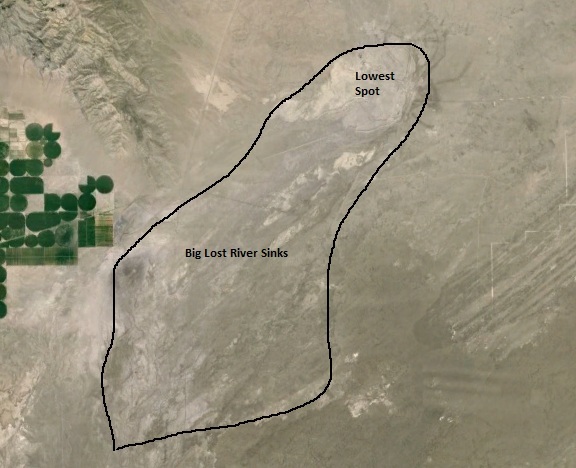 True to its name, the Big Lost River’s surface flow does not reach any larger river, but vanishes into the Snake River Aquifer at the Big Lost River Sinks, giving the river its name. 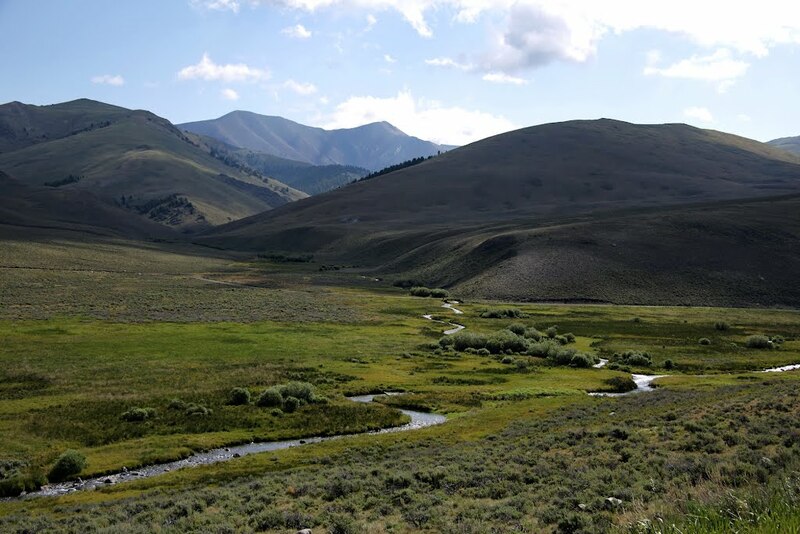 The river is one of the Lost streams of Idaho, several streams that flow into the plain and disappear into the ground. 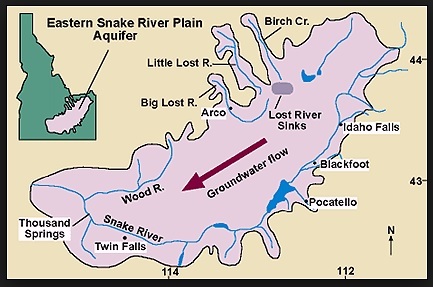 So, what’s the Snake River Aquifer? 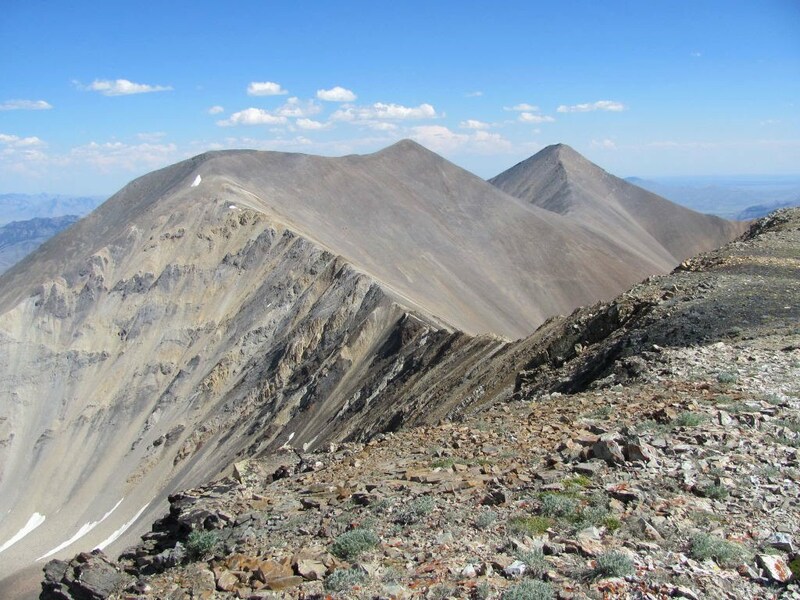 It’s a huge hunk of basalt bedrock, several thousand feet thick, about 400 miles long and 75 miles wide. 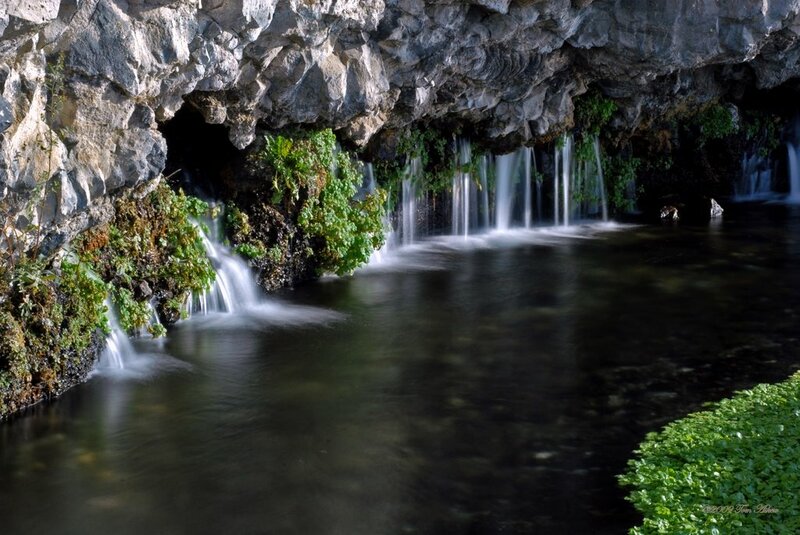 What makes it an aquifer is that it’s permeable, which means that it’s not solid rock; it’s chock full of passageways and fractures that readily allow water to flow through it. This is second post in a row with a Chris Sanfino Pano shot ( NJ Pine Barrens is my previous post). As mentioned in that post, I’ve used his pictures in my Colchester CT and Twin Falls ID post. This guy gets around. So, imagine you’re a drop of water that falls on my landing. 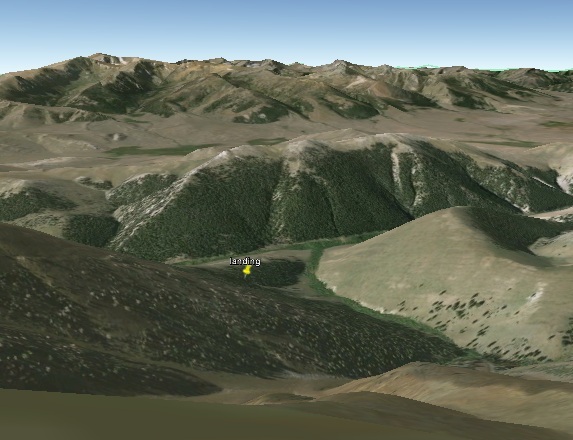 You make your way to Cabin Creek, to the East Fork of the Big Lost River, to the Big Lost River, and then (if you’re not sucked into an irrigation pump), you simply sink into the ground. Eventually you travel about 125 miles in total darkness, slithering along through cracks and fissures until you break out the side of the Snake River Valley (unless, of course, you get sucked up by an irrigation well!). 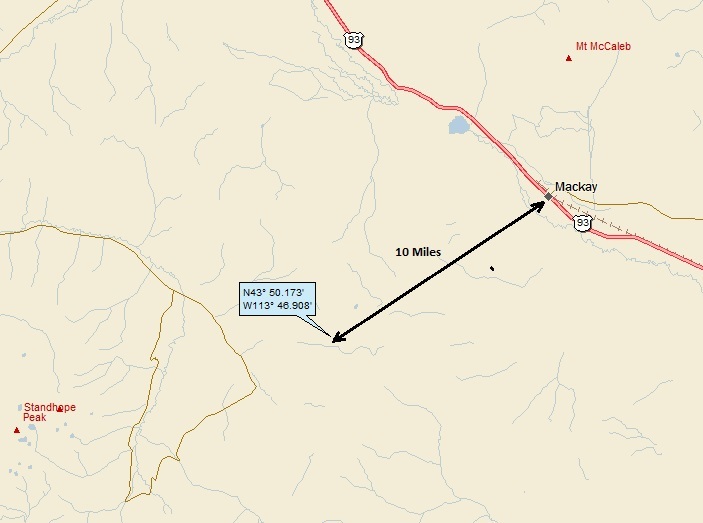 Mackay is a city in Custer County, Idaho. The population was 517 at the 2010 census. The town is pronounced “Mackie” with the accent on the first syllable. The only other information is about a 1983 earthquake (mag 6.9) which caused some damage to the town, but no injuries or deaths. I found an extensive article from the Sun Valley Magazine (by Mike McKenna) about Mackay (remember to pronounce it correctly). 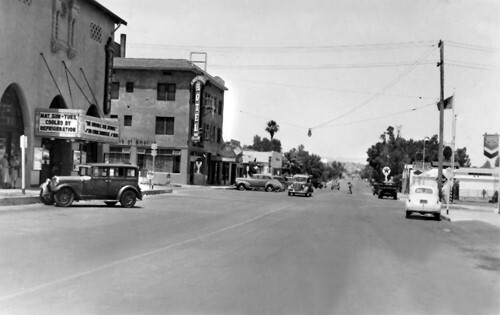 Here’s a Main Street shot from the article. 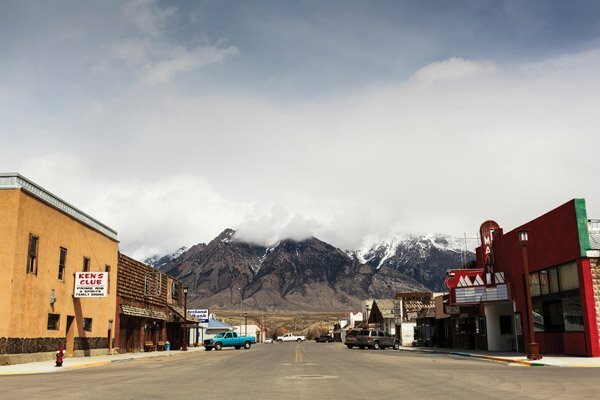 Mackay is one of those small Idaho towns where everyone waves to one another when passing by. It can actually make it a bit challenging for locals to drive, seeing as how they always have to be ready to wave. That’s because to not return a wave is about the most egregious thing you can do. It’s almost as bad as simply nodding, but still better than the wave usually offered to people with California license plates. Click HERE for the entire article (it’s good, and worth the read). That’s right, there’s tons of beef, and a beef sandwich with an exquisite (but secret) barbeque sauce is given free to everyone who shows up! I suspect that some wily folks are able to get more than one sandwich . 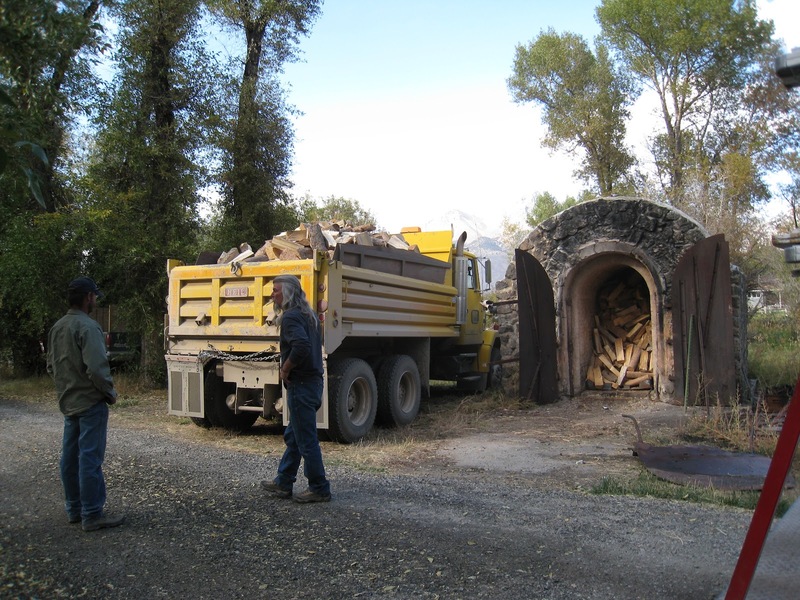 . .
Wood was delivered from the Forest Service by Pat Powers from the Lost River Highway District to the Mackay Tourist Park to be fed in to the barbecue oven all night beginning at 5 p.m. Thursday, September 13, 2012. Wood will be continuously added for 24 hours. 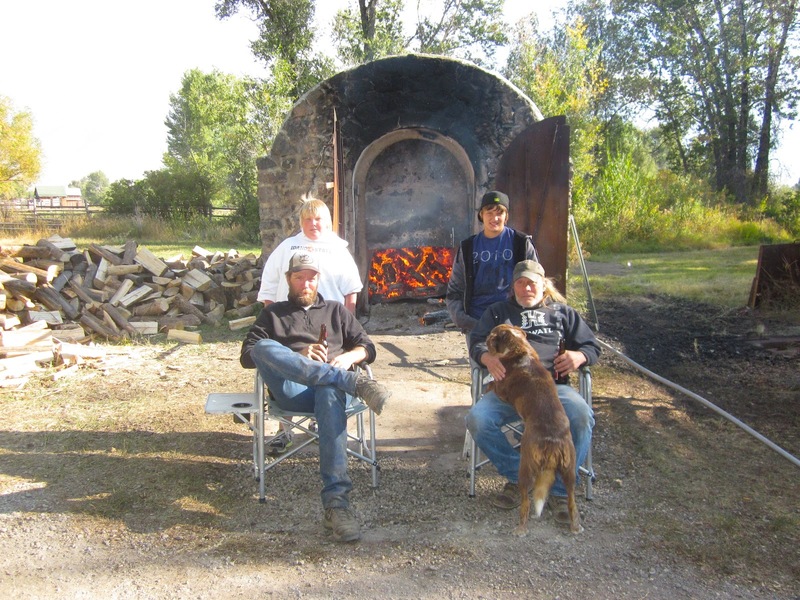 The above shot is a 2008 photo showing Pat Powers delivering the wood for the barbecue. Jake Drussel and Manny Guerrero are in the foreground. After the oven is full of wood, Terry lights the fire with a propane torch. 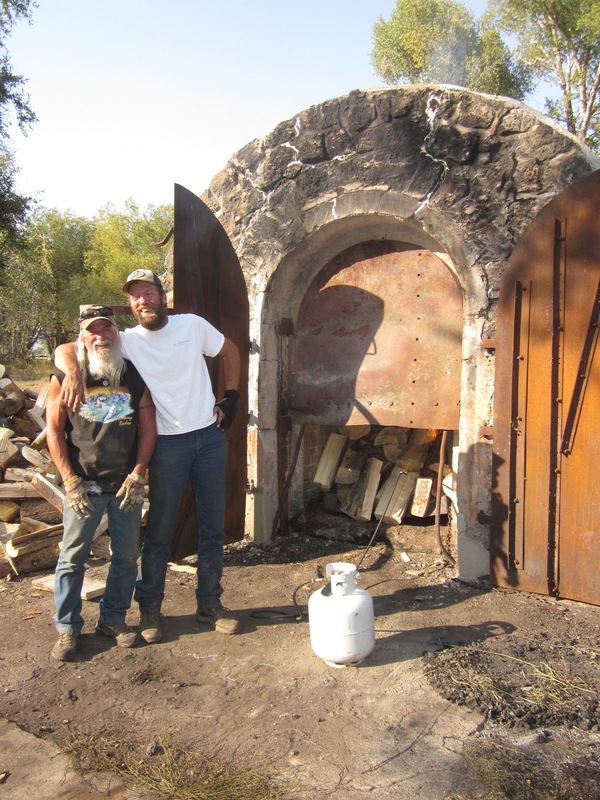 Manny and Terry placed a metal shield up at the top of the barbecue oven door and will feed the fires ALL NIGHT from the bottom. 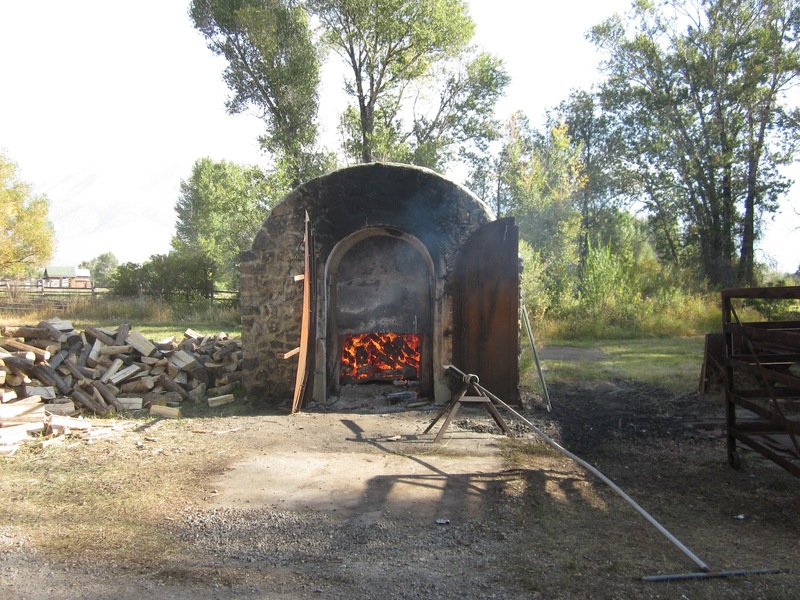 The burning wood will heat up the barbecue oven. 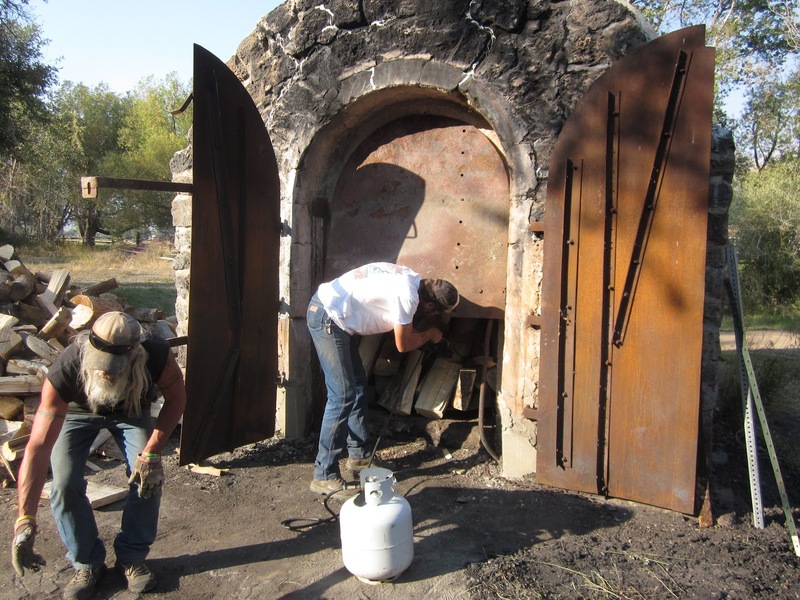 Before the meat roasts are added to the barbecue oven Fridaty night, all of the wood and ash will be removed. Terry and Manny stoked the barbecue with firewood. As the fire burned, Terry used a metal tripod with a long metal pole to stir the embers frequently; he also added more wood. This is done continually until approximately 6 PM Friday night to ensure the bricks of the oven are thoroughly heated. Workers stoking the fire in the oven wear a fire suit borrowed from the Mackay Fire Department due to the intense heat. These four young men fed wood in the barbecue oven at the Mackay Tourist Park all night and continued throughout Friday until the beef roasts are prepared Friday night at the Mackay Fire Hall. The oven should be the PERFECT temperature when the meat is put in! For the whole article, click HERE. You can learn all the work it took to make the secret BBQ sauce! By the way, I’d love to go to Mackay in September, eat some free beef (and most importantly), meet Terry & Manny! Landing number 2112; A Landing A Day blog post number 540. 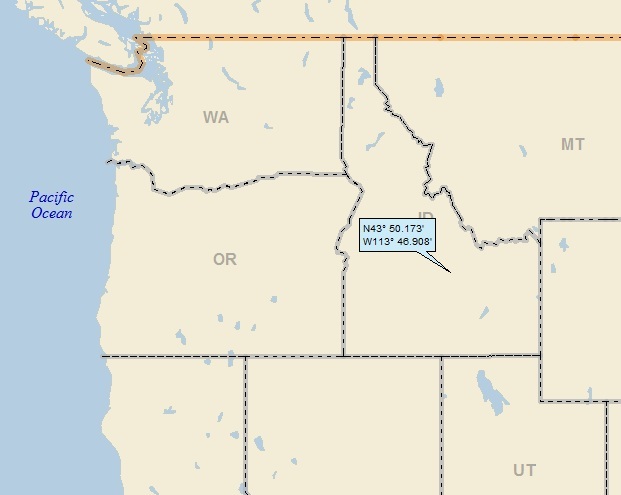 Dan – After five OSers in a row, it took a landing in our home state (a USer) to right the ship. That’s right, Dan. I landed in good ol’ . . . NJ; 4/6; 4/10; 148.6. For those readers less knowledgeable than you, Dan, I’d like to discuss the 4/6 fraction reported above. 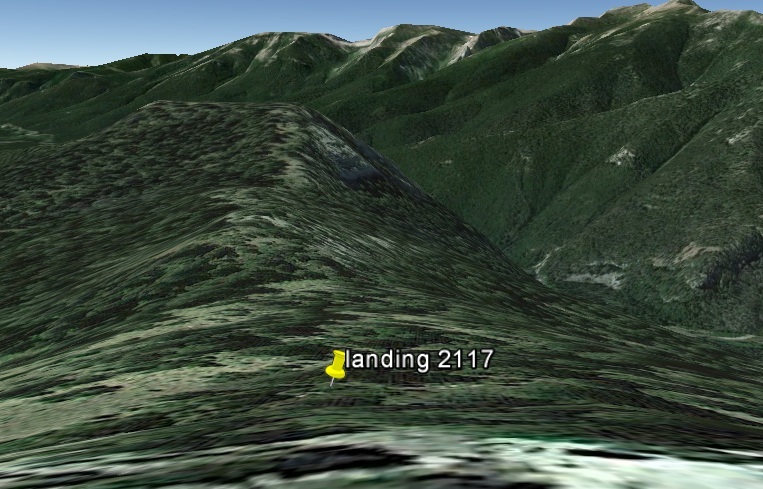 Based on NJ’s puny area, after 2112 landings, I should have landed there a measly 6 times. But I’m well under-subscribed (US), and today’s landing was only my fourth there, taking me from 3/6 all the way to 4/6 . . Zooming back a little more, here’s yet another. Wow. Even more woods! 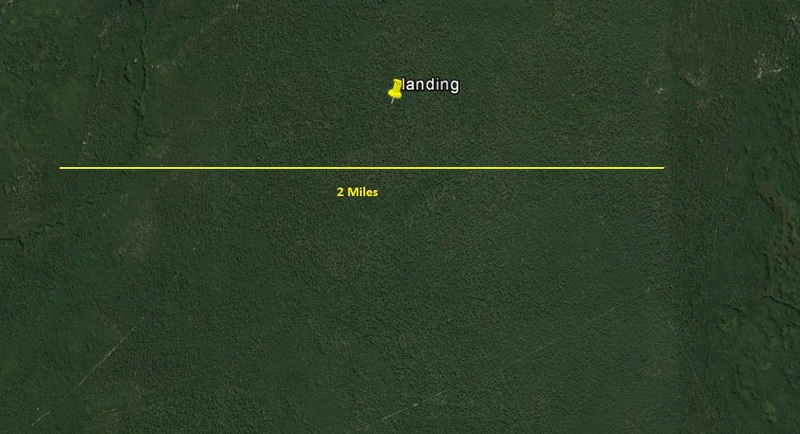 Not many people know that they can walk 30 miles in a straight line, and stay in the woods the entire time. In New Jersey! So, this post isn’t about a town (note that Alsion, Chatsworth and Tabernacle aren’t really towns). This post is about the woods. The Piney Woods. The Pinelands. The New Jersey Pine Barrens. 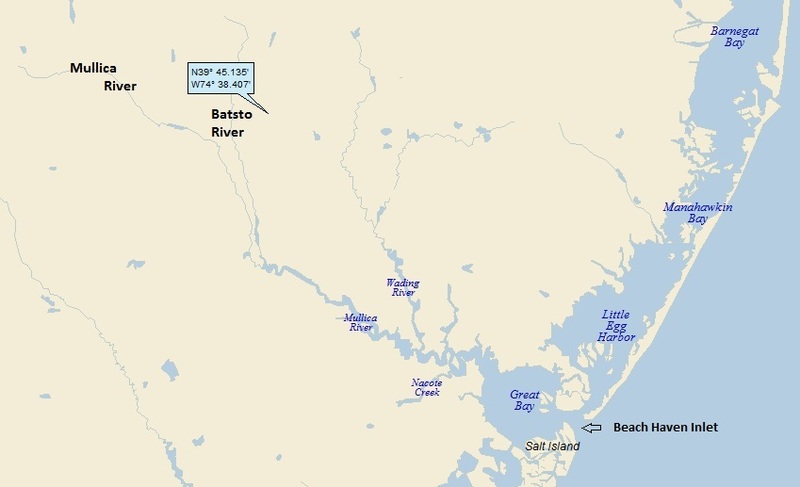 I landed in the Batsto River watershed (1st hit); on to the Mullica River (1st hit). 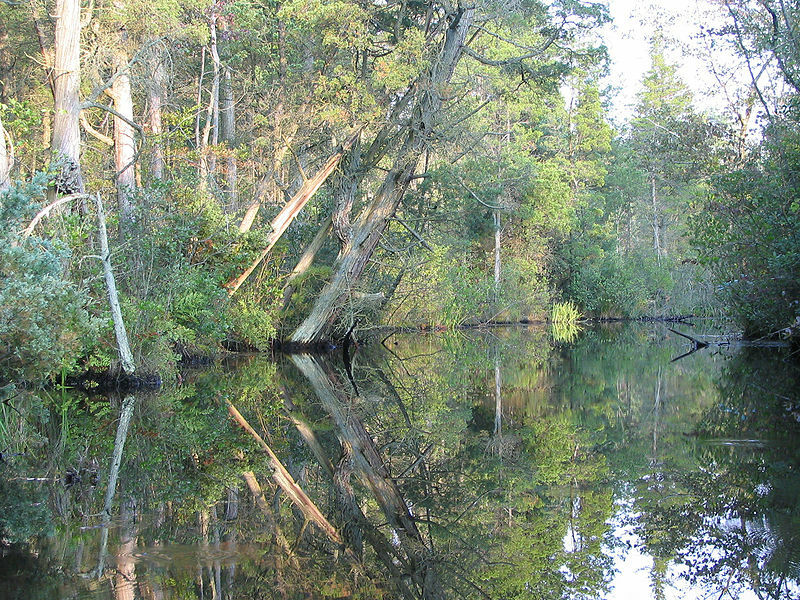 The Mullica flows into Great Bay, which is directly connected to the Atlantic Ocean via the Beach Haven inlet. 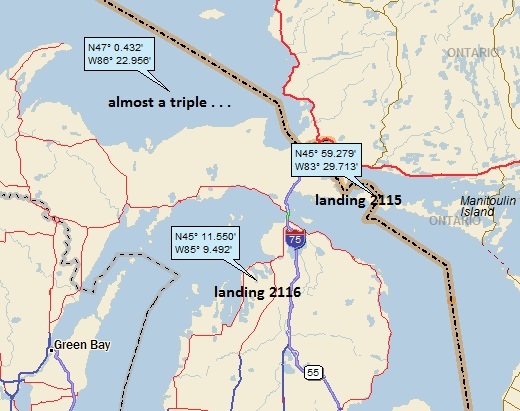 Quick aside: See the route that one would take if one were in a boat, traveling from Great Bay to Little Egg Harbor? Well, my wife Jody and I were in a small (18.5’) sailboat, attempting to do just that. We had nice sailing breeze (probably blowing 10 knots), but it was out of the north, right into our face. The channel just north of inlet was rather narrow, so we had to tack back and forth to make headway. Normally, no big deal. You tack back and forth, but of course, you make decent forward progress on each tack (especially if you’re a good sailor, which Jody is). But here’s the kicker: the tide was going out. That means that not only was the wind in our face, but we were sailing upstream against a strong tidal current. Funny thing about being in a boat. Relative to the water, we were making great progress. Kicking up some spray, plowing through some turbulent water; feeling great. We talked about starting the motor, but decided not to. We were actually enjoying our battle with the bad buoy (and obviously we were in no particular hurry to get anywhere). We knew this could go on for quite a while, until the tide turned. Well, it did go on for quite a while (at least an hour, as I recall), and the tide did begin to turn and we finally did make our way past the buoy. Further personifying the red hunk of metal, we sing-song taunted “naahh naahh nah-nah naahh” as we made our way by. . . 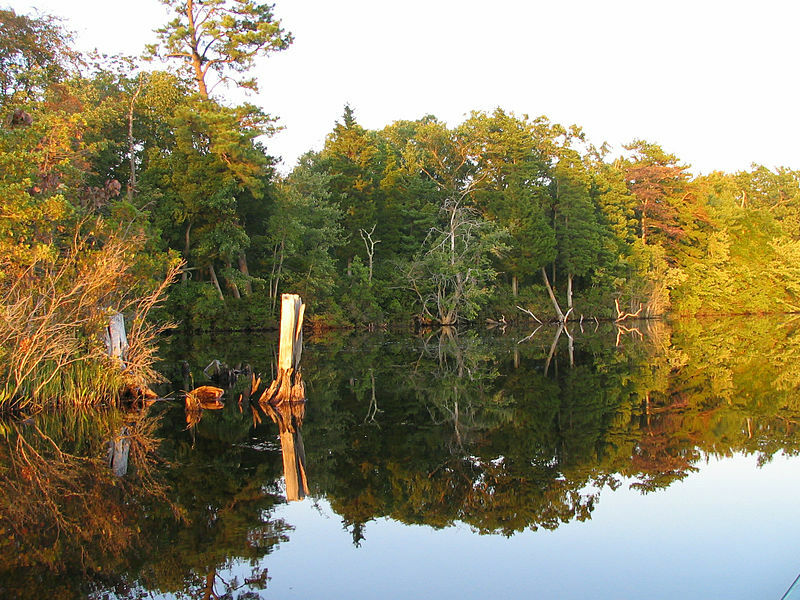 The Pine Barrens is not barren at all, but is a complex mosaic of forests, wetlands, streams and ponds. 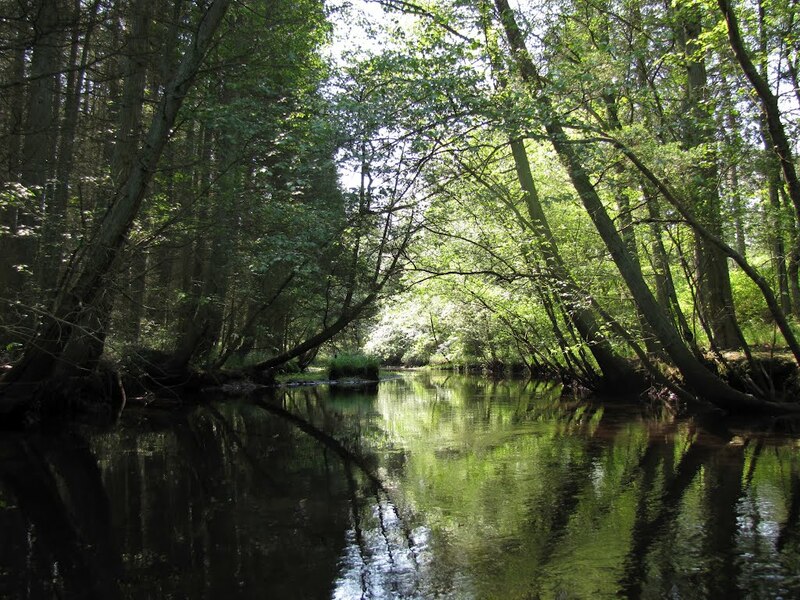 Why, then, the name Pine Barrens? The answer lies in a certain cultural bias that European settlers brought with them to America: that if land did not support the raising of their traditional farm crops, then it was “barren.” The dominant soils of the Pine Barrens are porous sands – acidic and low in humus and nutrient content – poor conditions for row crop farming. 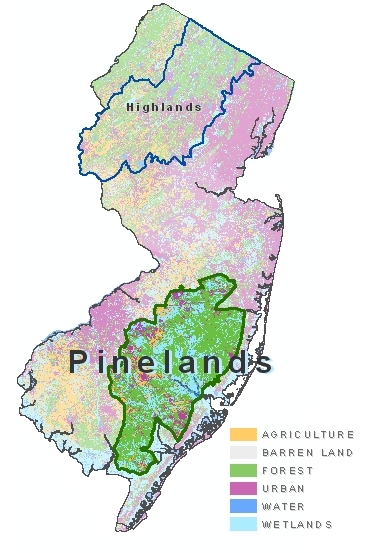 Indeed, the Pine Barrens forests have only survived because their soils are so “poor.” The edges of the Pine Barrens can still be easily made out simply by the noting the boundary where forest gives way to farmland and, increasingly, the housing subdivisions into which farmland is being converted. 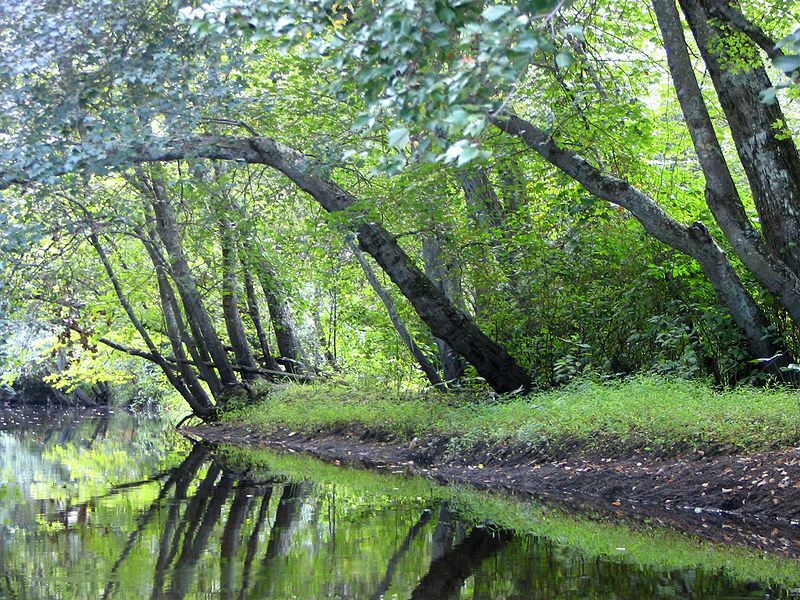 Congress created the New Jersey Pinelands National Reserve, the country’s first National Reserve, to protect the area under the National Parks and Recreation Act of 1978. 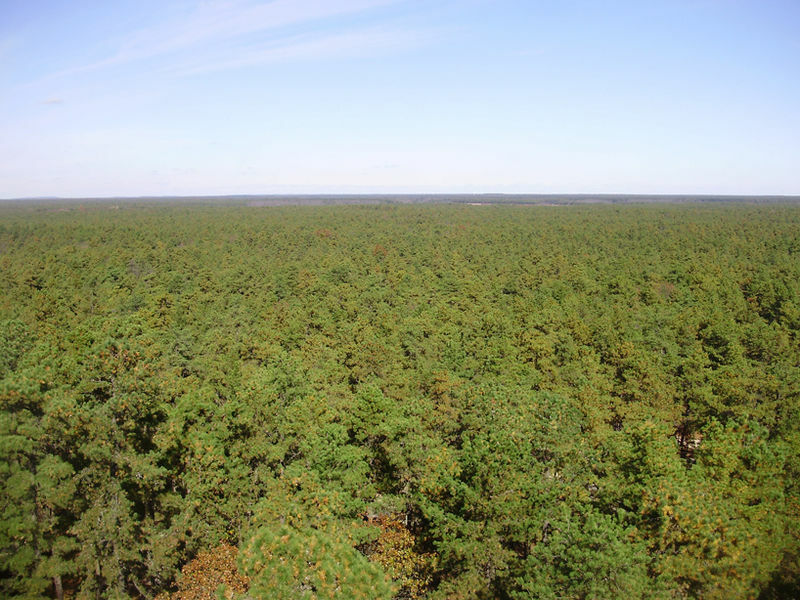 The New Jersey Pinelands National Reserve contains approximately 1,100,000 acres of land, and occupies 22% of New Jersey’s land area. 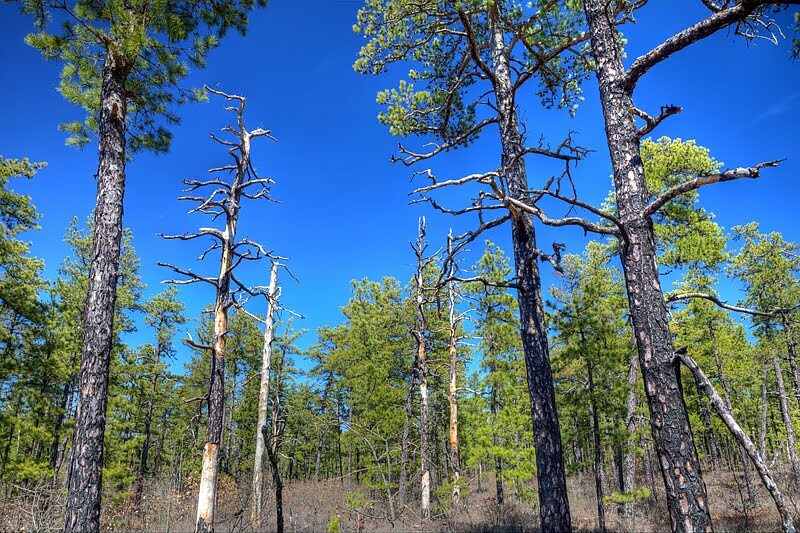 In addition, the NJ Pinelands Commission, the NJ Pinelands Preservation Alliance and the NJ Department of Environmental Protection keep watch over all things Pine Barrens. 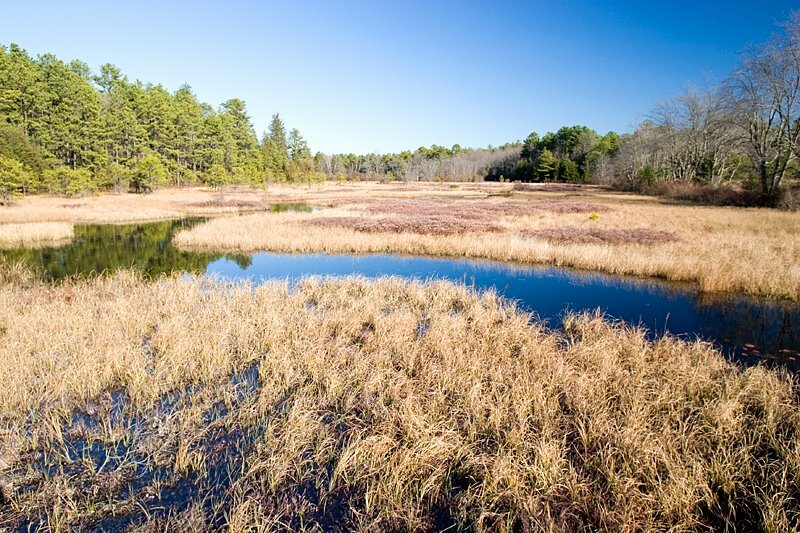 Speaking of the NJDEP, one thing I haven’t mentioned (which is peculiar considering my environmental background): the sandy soils of the Pine Barrens soak up rainfall and snowmelt, feeding it to underlying aquifers. These aquifers contain bazillions of gallons of clean water (which supply millions of people their drinking water), so the NJDEP has all sorts of rules and regulations that are specifically designed to maintain the pristene quality of the groundwater. So, who is Tom Brown? One fascinating Jersey guy. He’s a prolific author, having written some 18 books, including his first “The Tracker,” which sets the stage for all of his subsequent books. As told in The Tracker, he graduated from high school in 1968 (same year as me). But then (unlike me), he stripped down to the bare minimals (basically, some clothes and knife) and proceeded to live in the Pine Barrens for a year with no interactions with the civilized world. He’s quite the tracker, stalker and survivalist (although somewhat controversial, as a quick Google search confirms). Anyway, I went to hear him in Beach Haven back in the day. His whole talk was about the Lenni-Lenape Indians, and their relationship with the Pine Barrens. He described how the Indians didn’t chose the Pine Barrens as a place to live; for basically the same reasons that the white folk pretty much ignored the joint. The Indians were up in North Jersey, and along the Delaware River in West Jersey and Pennsylvania. There, they had more wildlife, bedrock for tool-making, and better soils for agriculture. But the Jersey Shore appealed to the Lenni-Lenapes, in a way as it appeals to millions of Jersey & Pennsylvania folks today: They loved to frolic in the surf and eat seafood. So, imagine this. They lived in Philadelphia (OK, somewhere along the Delaware River). It’s summer time. It’s time for a trip to the shore. 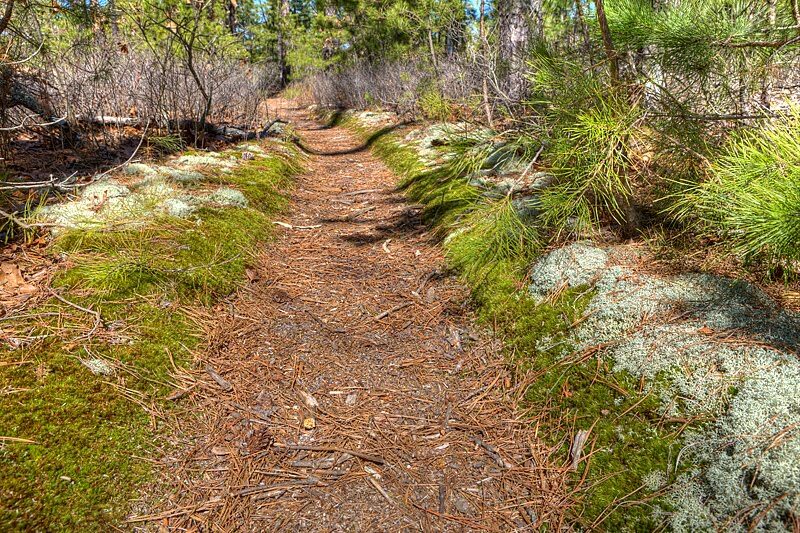 And just like Philadelphians today, the Pine Barrens stands between home and their vacation destination. Folks from Philly just cruise on through, traveling Route 70 or the Atlantic City Expressway, mindlessly sliding through that huge patch of pine trees that stands between home & the shore. The Lenni-Lenapes also had to pass through the Pine Barrens. But rest assured that they didn’t do it mindlessly. First, they had to walk (and/or paddle) through it, which is intrinsically more intimate then cruising through in air-conditioned comfort. Plus, because they couldn’t carry all of the provisions they needed for the trip, they needed to hunt and forage their way through the Barrens. I found a You Tube video (posted by ChellyPro) that discusses the modern NJ roadways that follow ancient Lenni-Lenape trails. It’s a little on the amateur side, but I loved it. By the way, Mr. Sanfino is one of those prolific Panoramio contributors. I’ve used his pictures in my Twin Falls ID post and my Colchester CT post! By the way, regular fires are an important part of the Pine Barrens eco system. 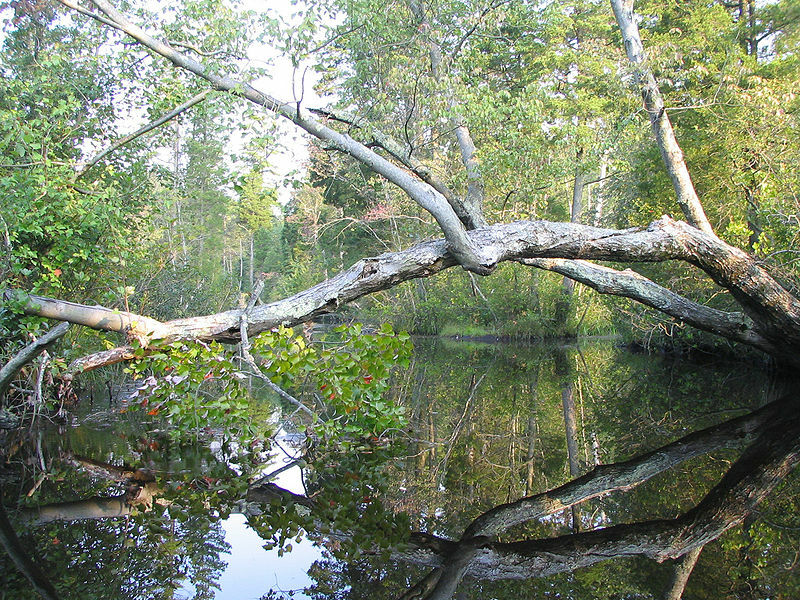 If you’re curious about this, just Google “NJ Pine Barrens,” and you can read all about it.